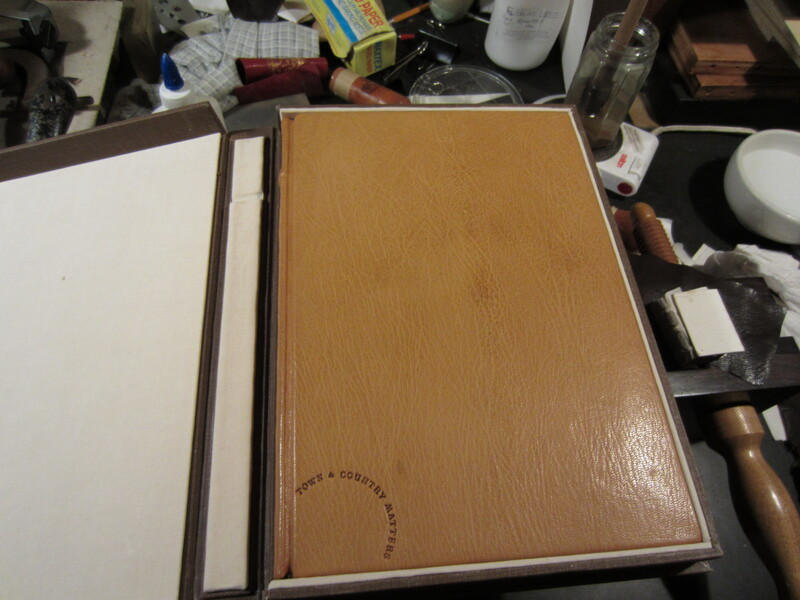 I went by Tom Conroy’s house on Wednesday after having visited the Robbins Collection at Berkeley Law. 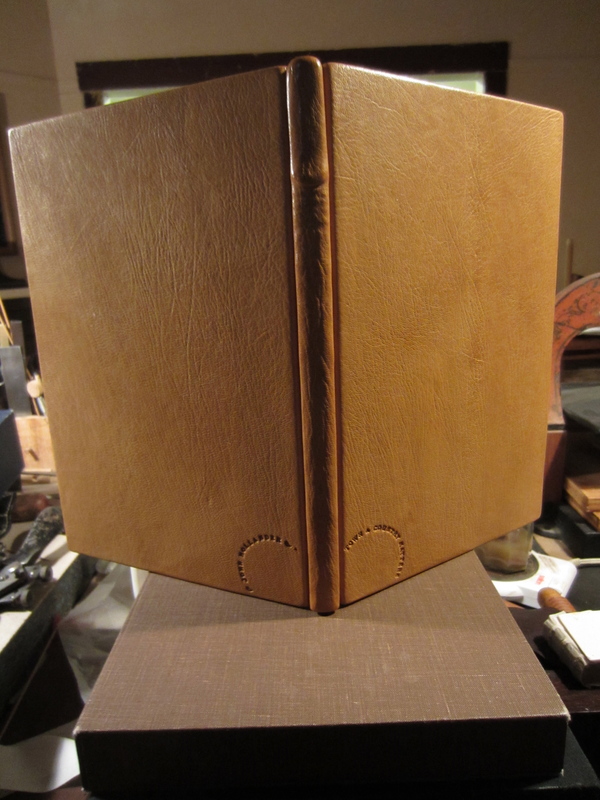 Tom and I are going to teach a woodworking for bookbinders class in the fall using a few local wooden-board bindings as models. 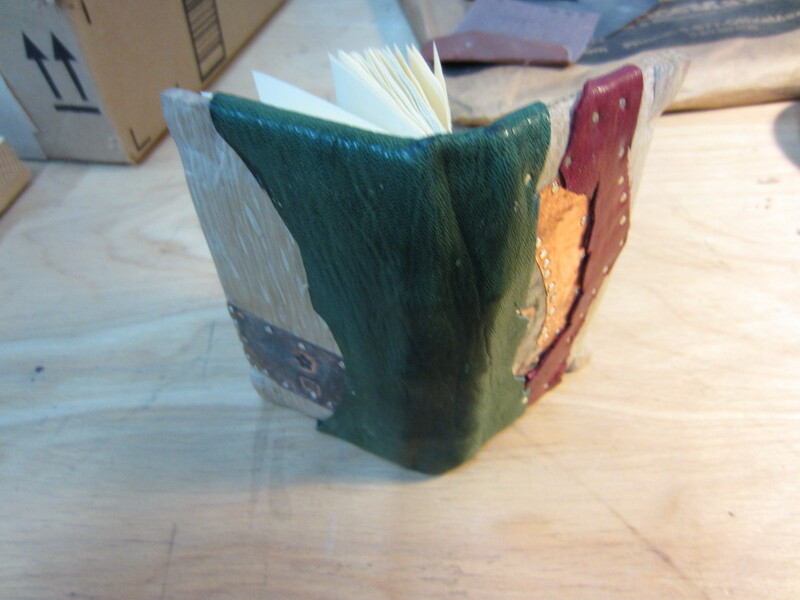 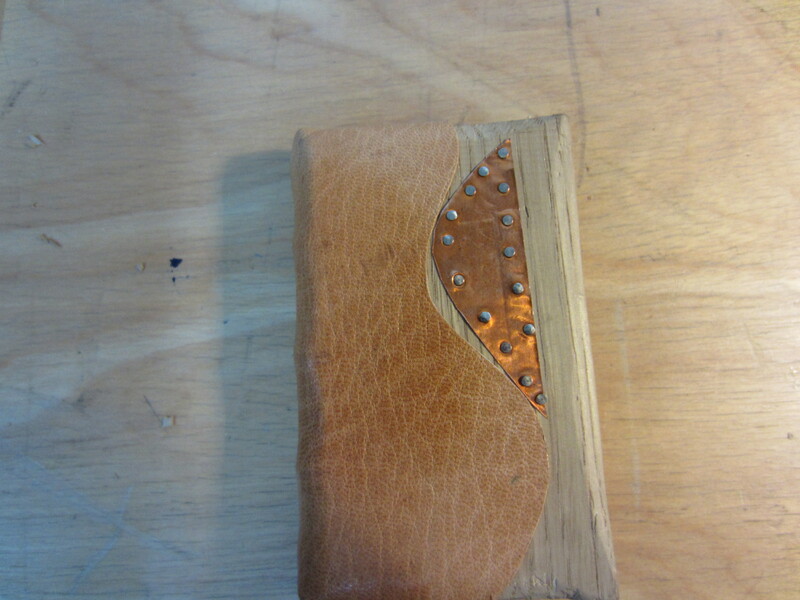 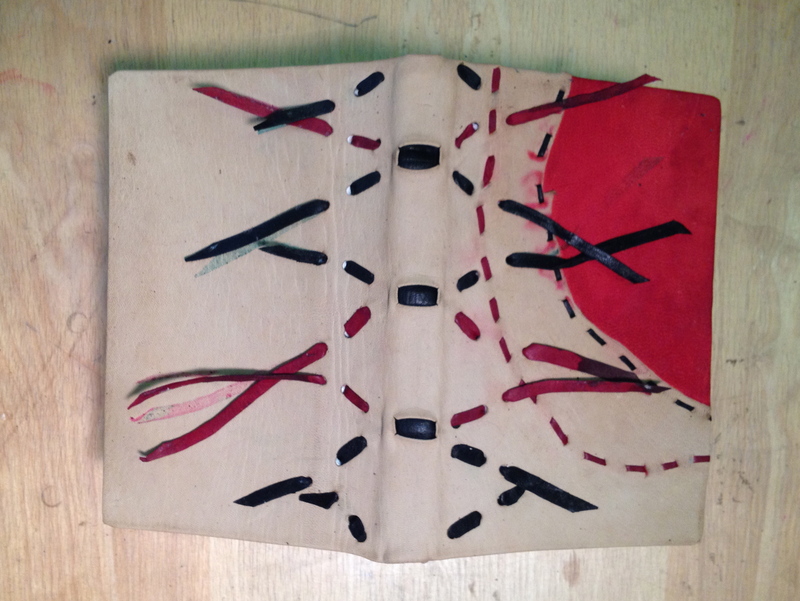 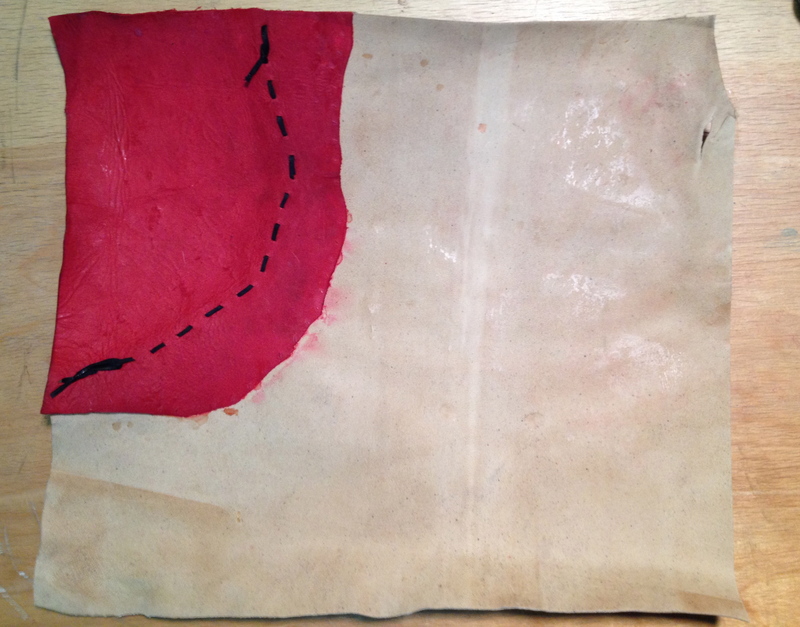 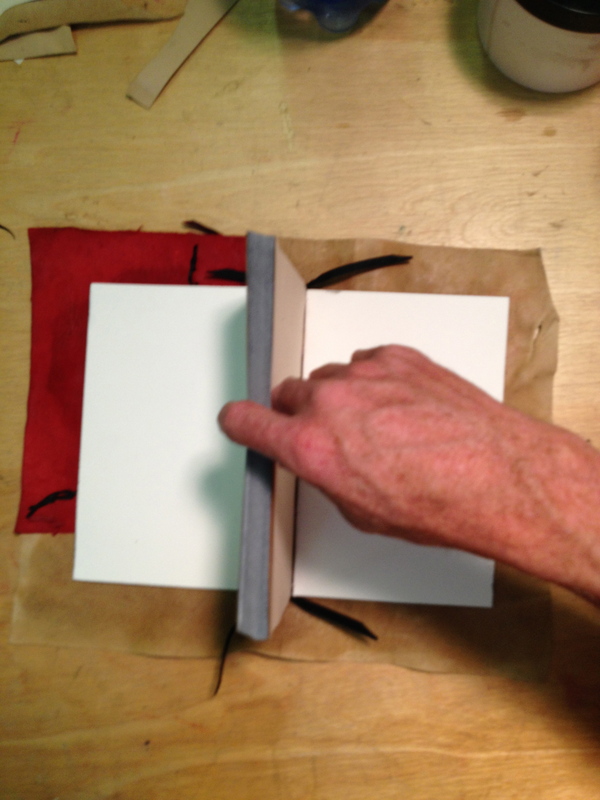 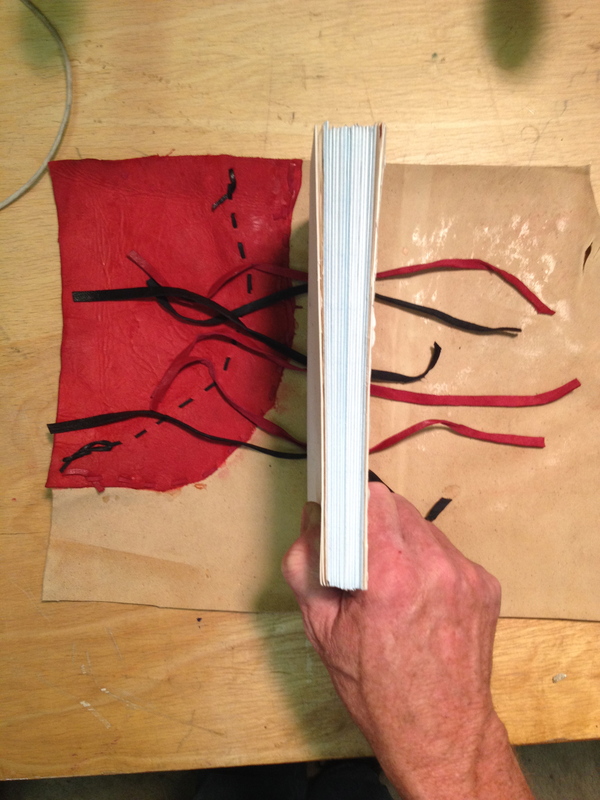 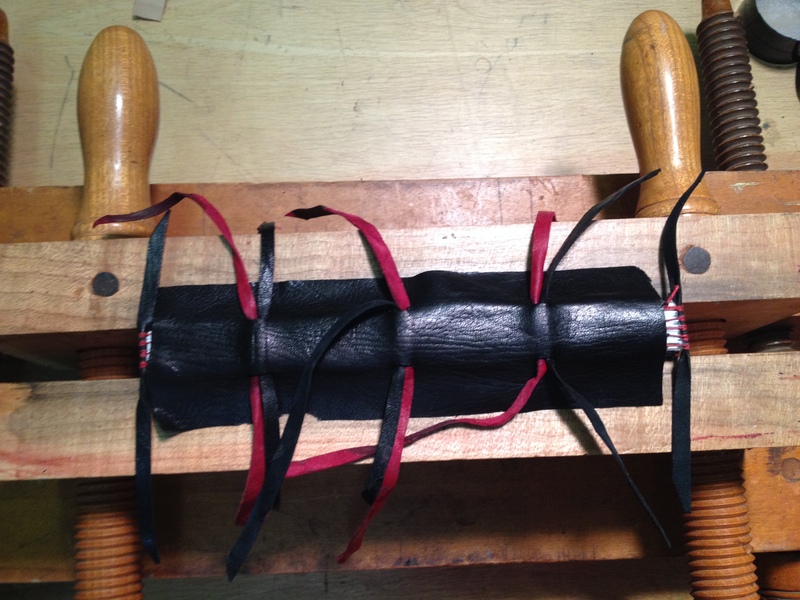 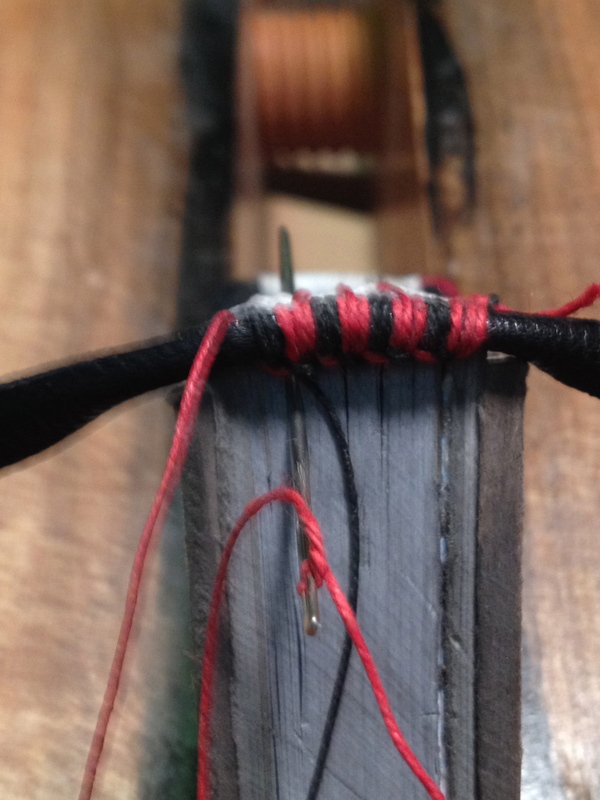 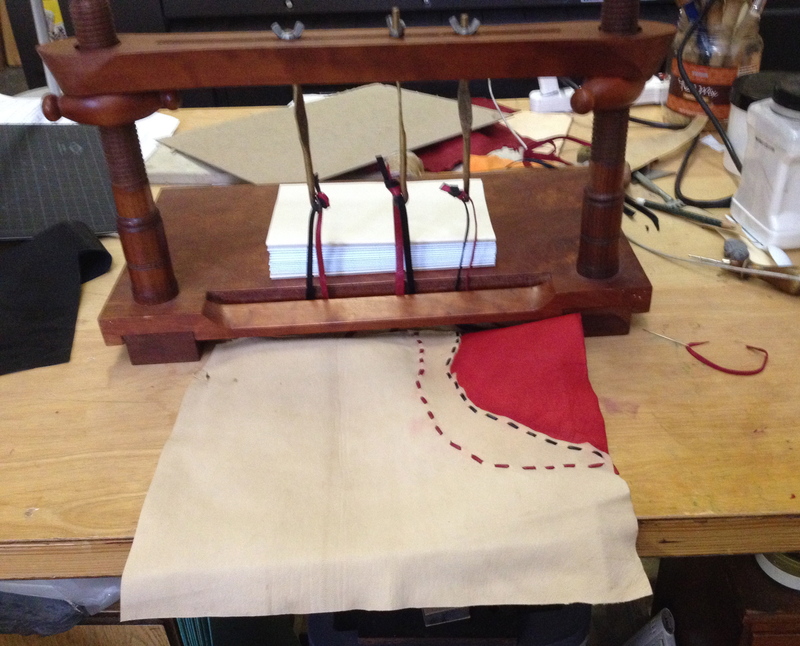 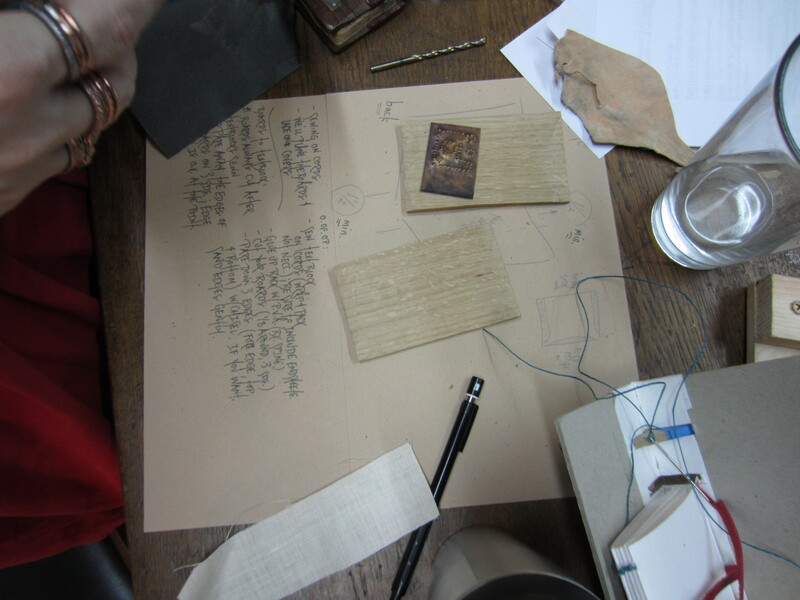 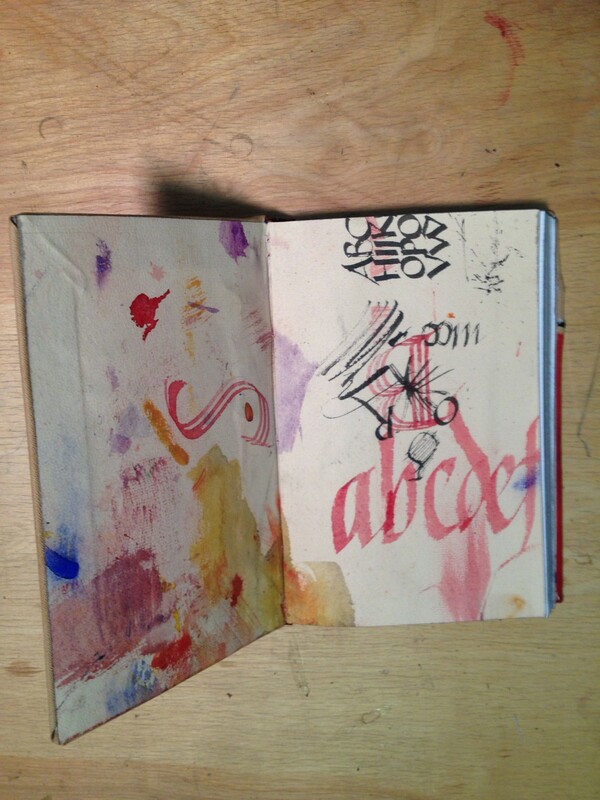 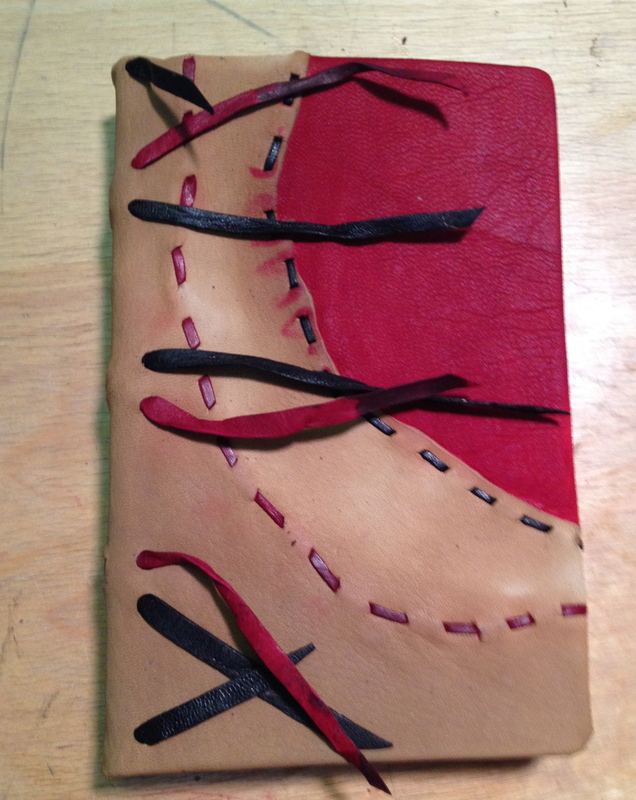 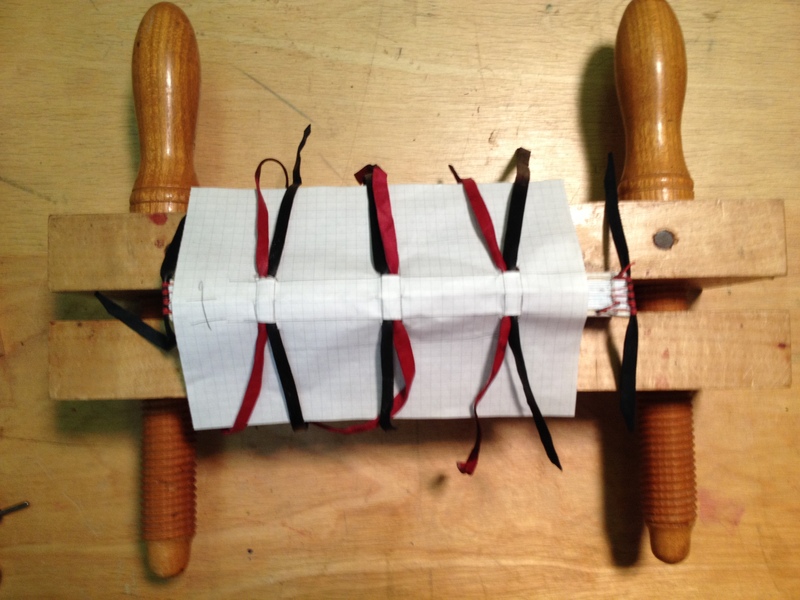 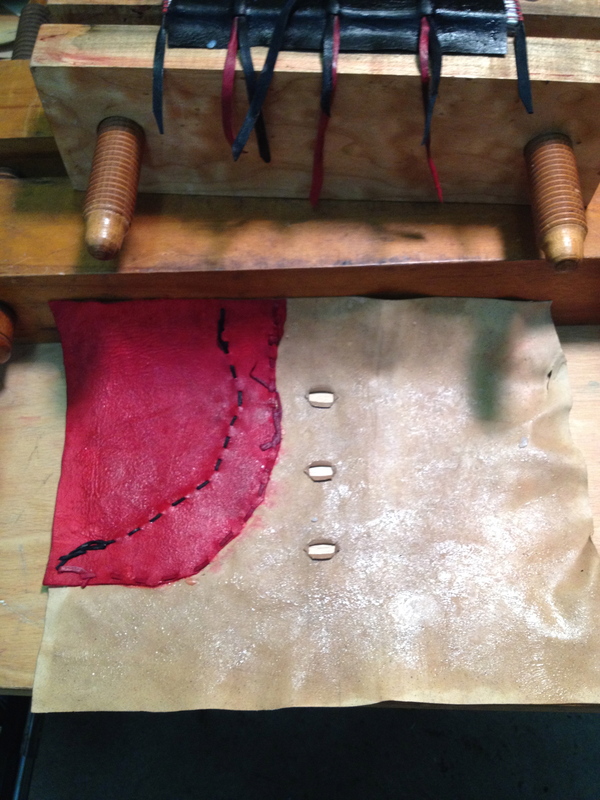 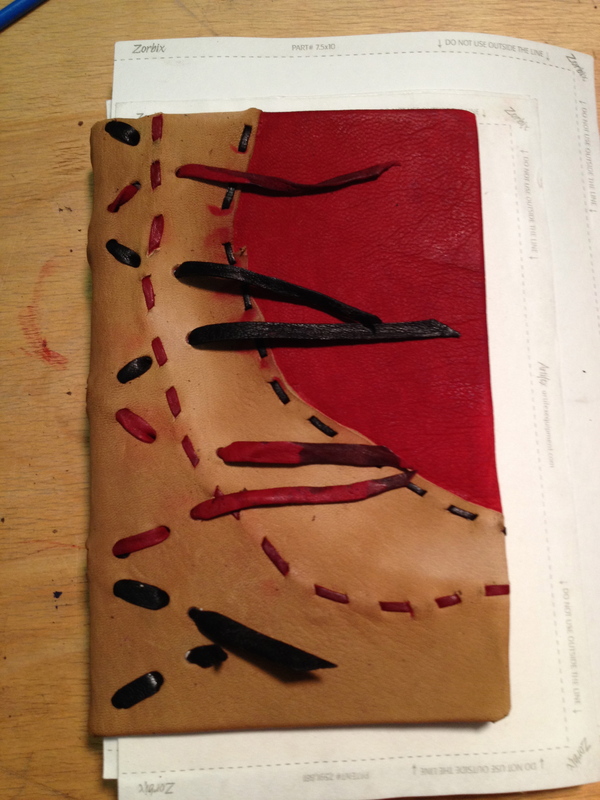 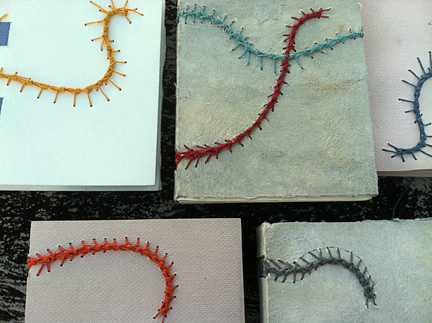 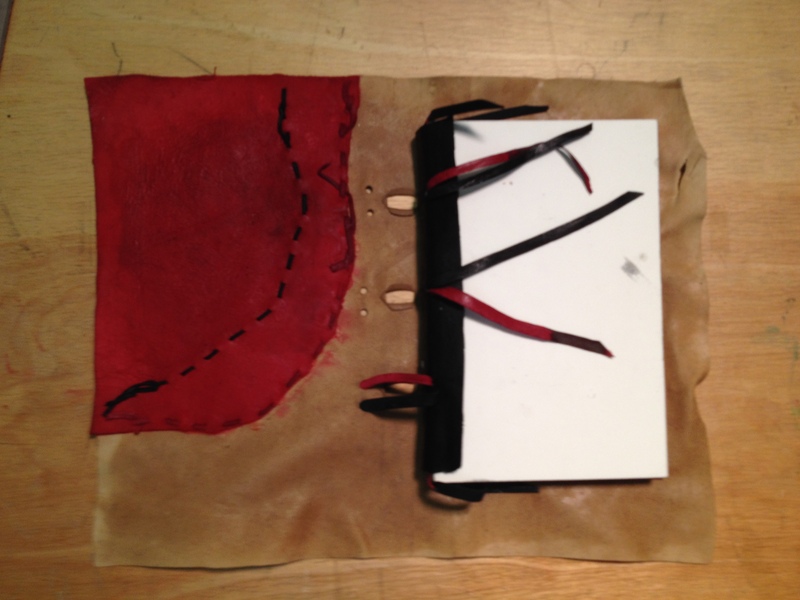 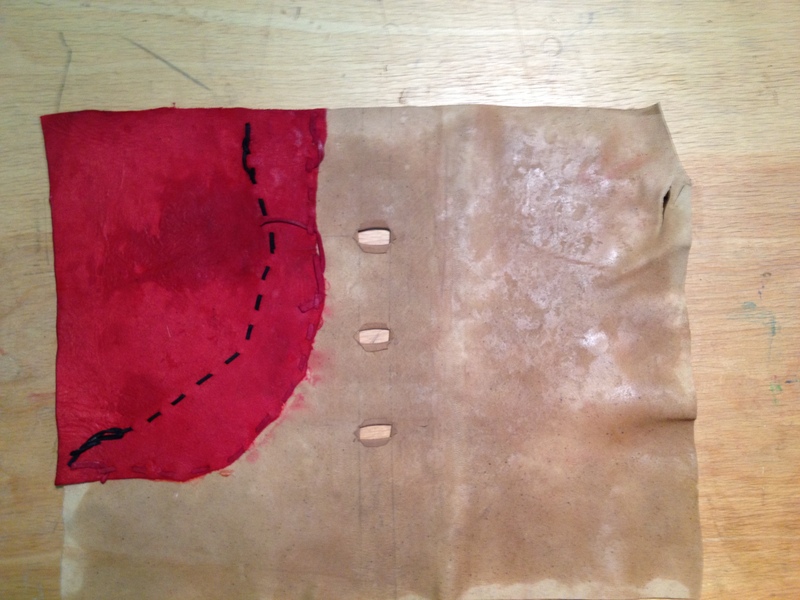 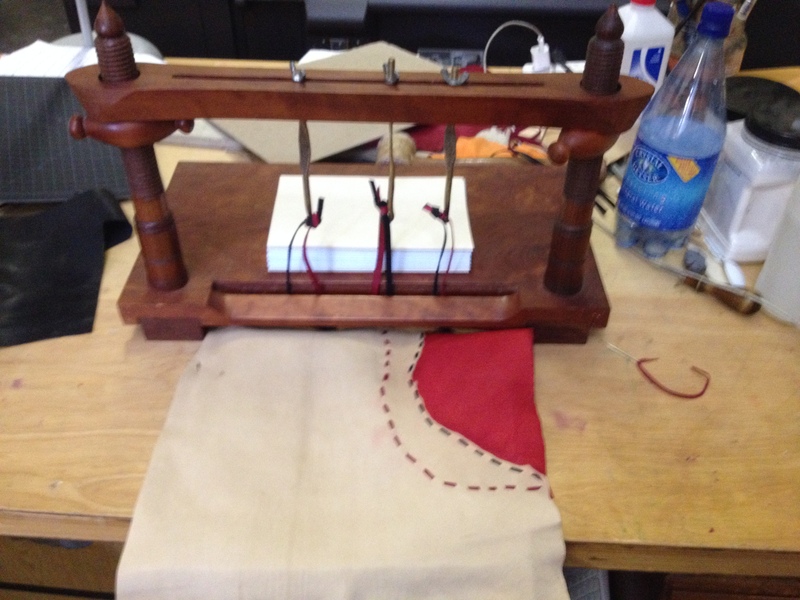 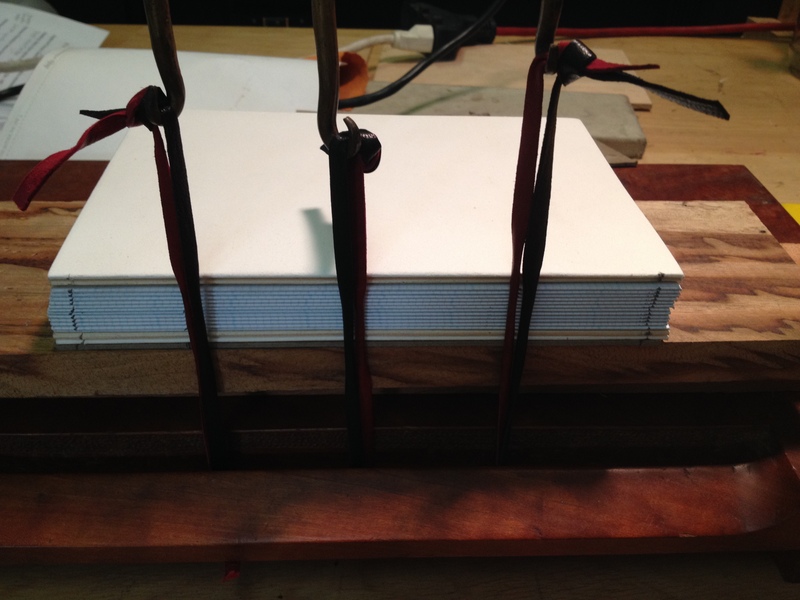 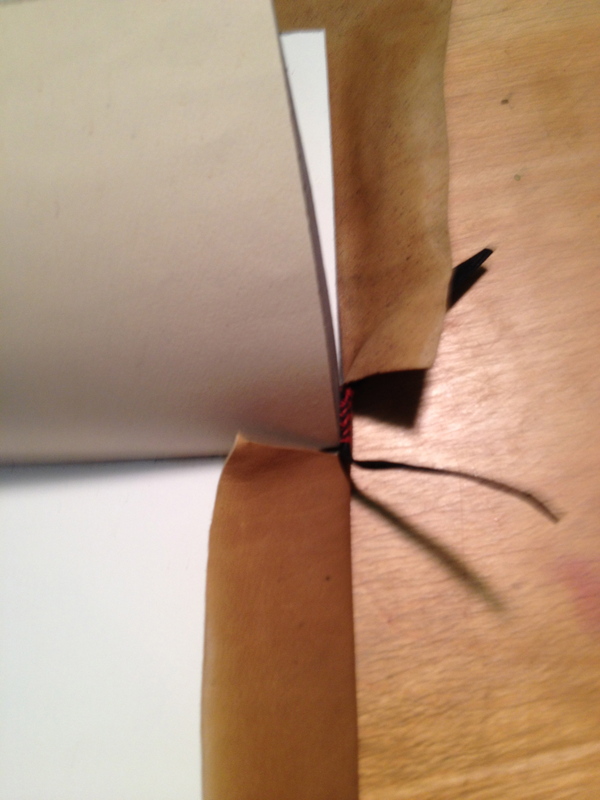 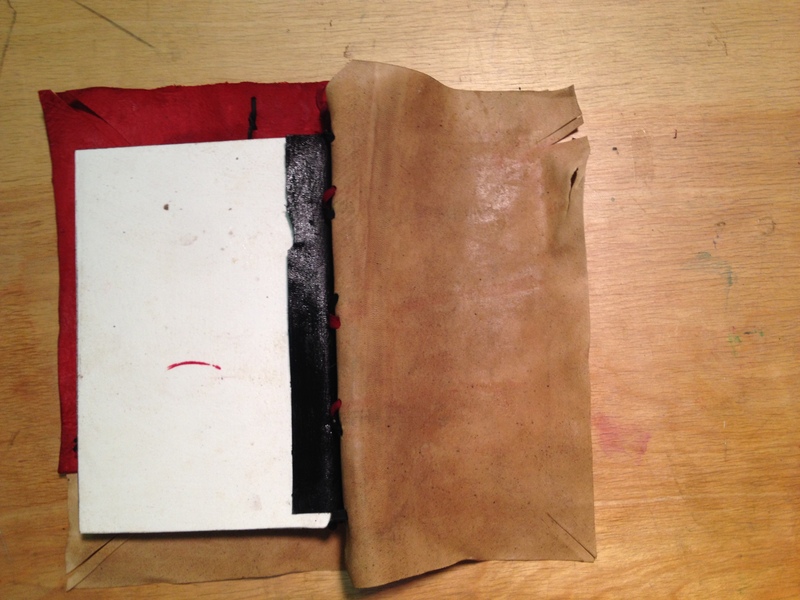 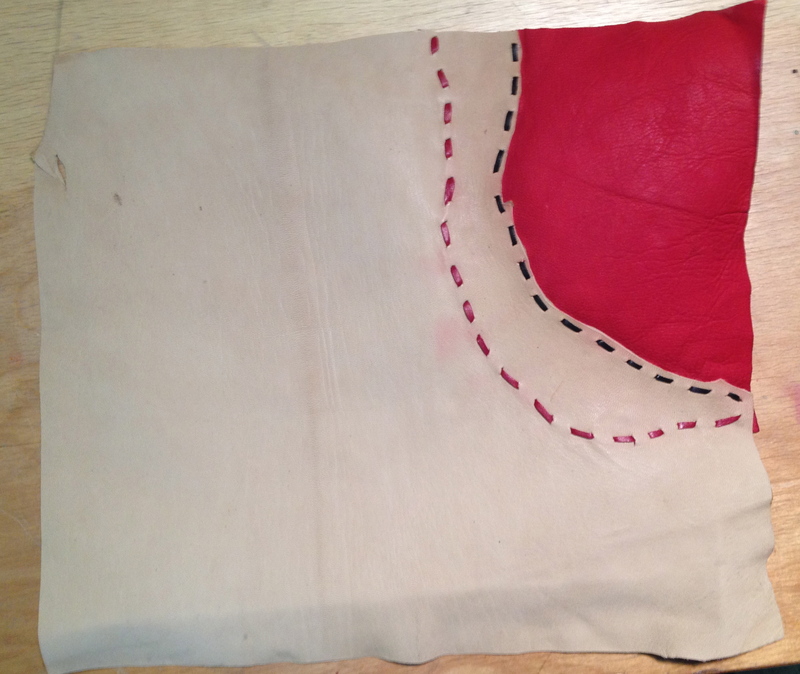 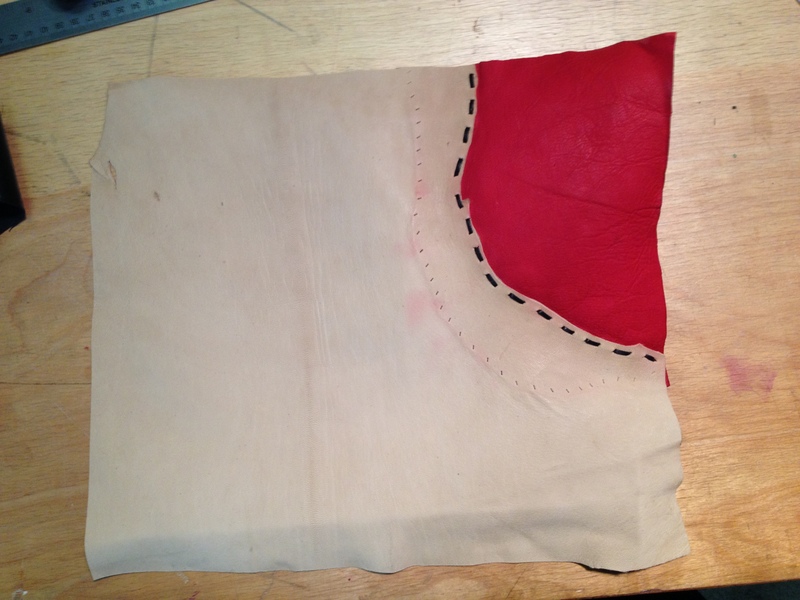 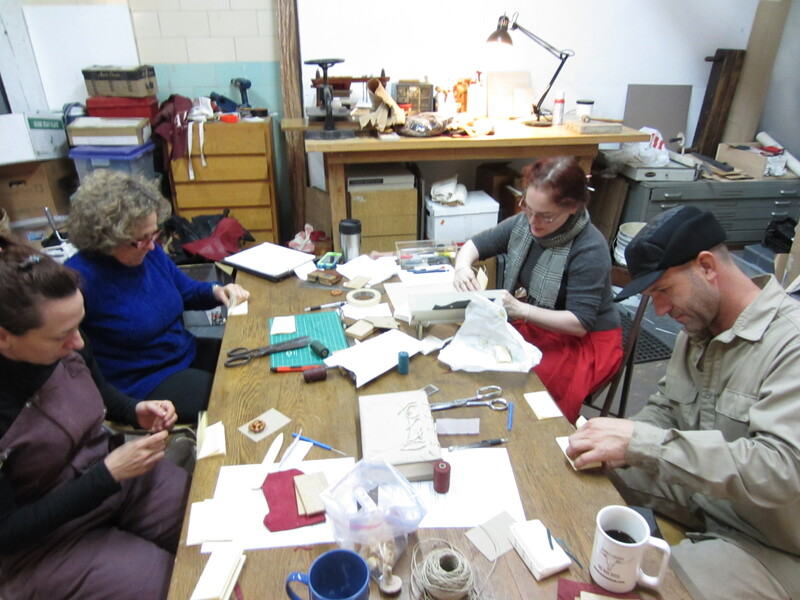 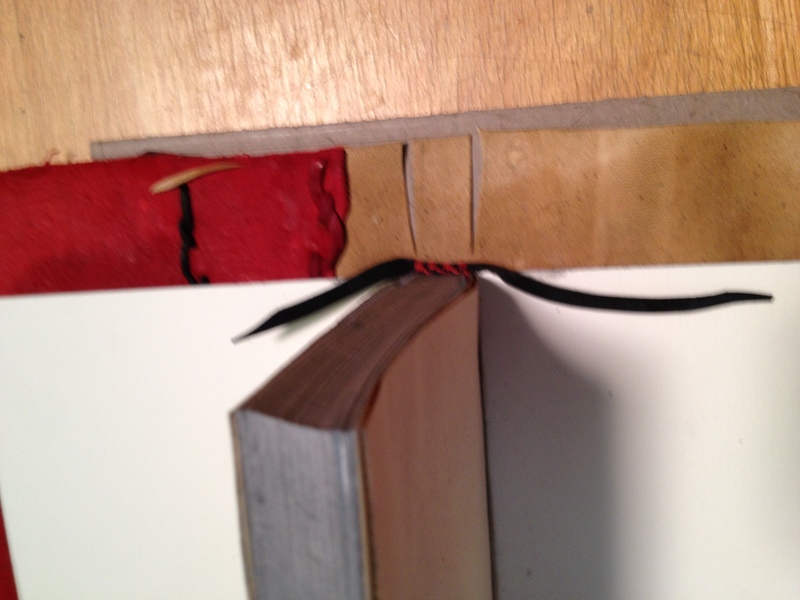 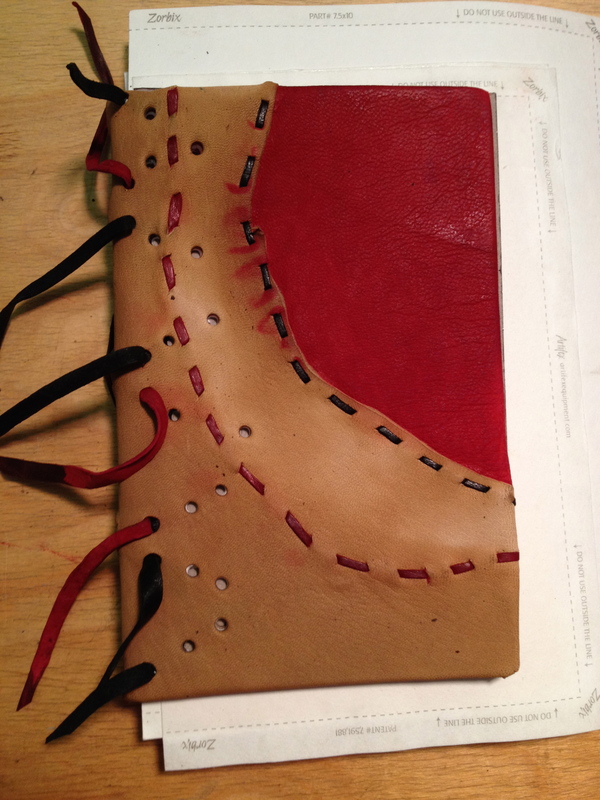 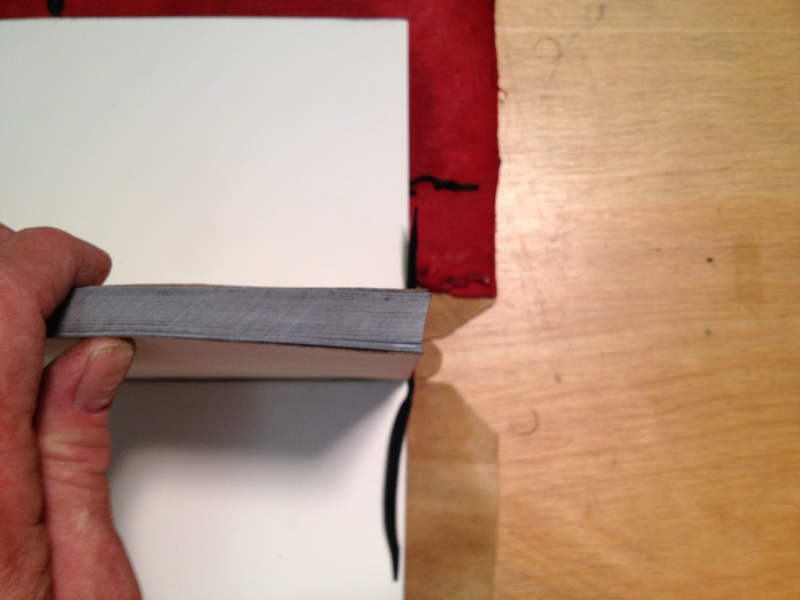 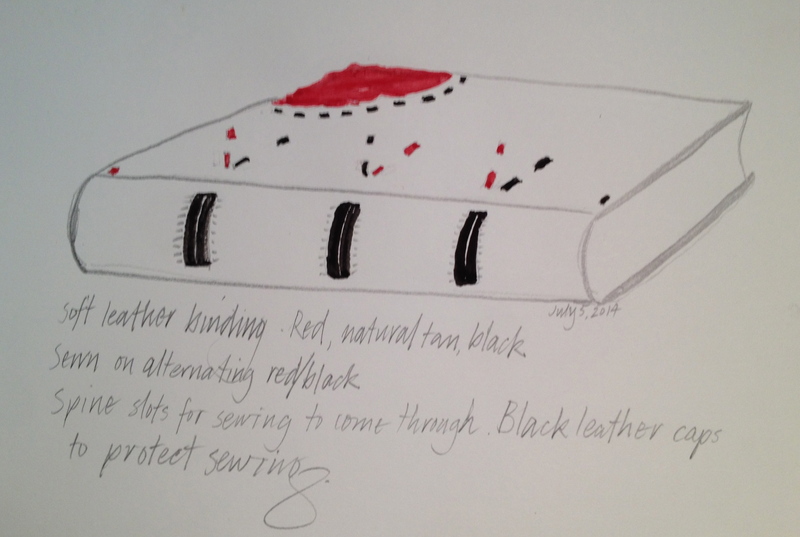 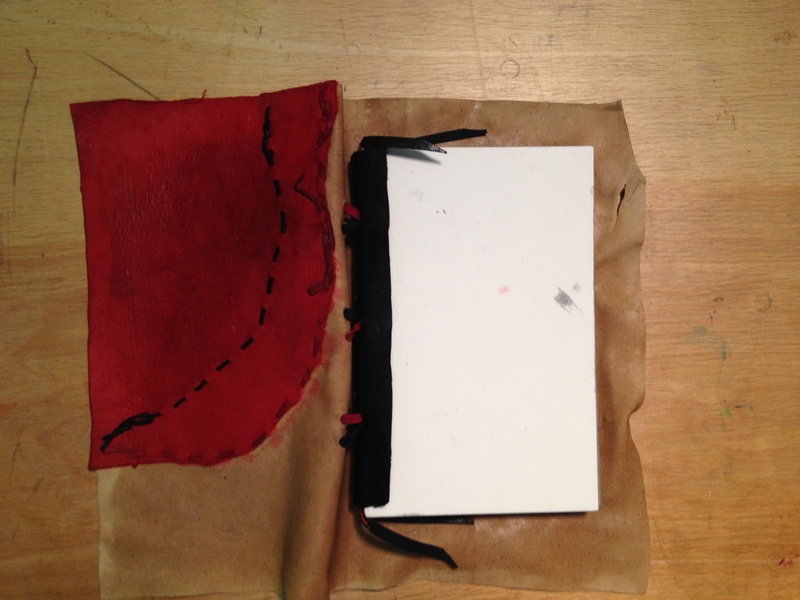 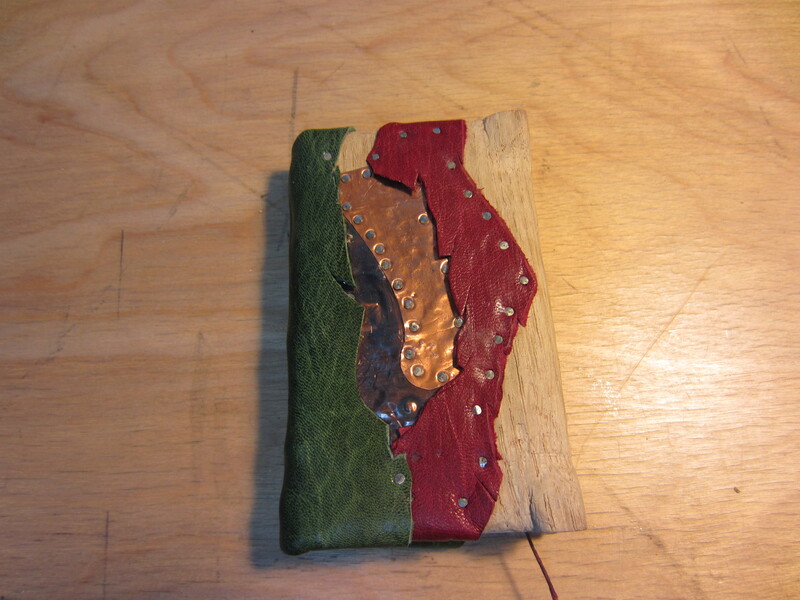 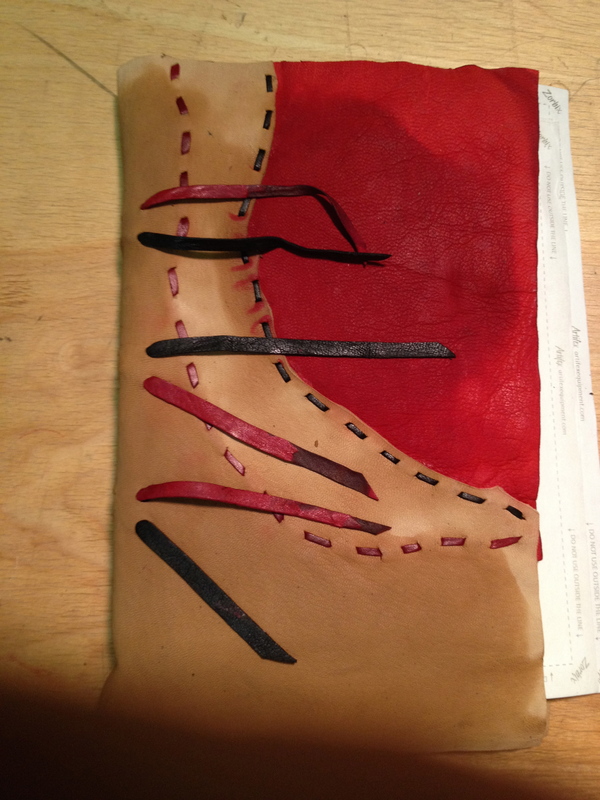 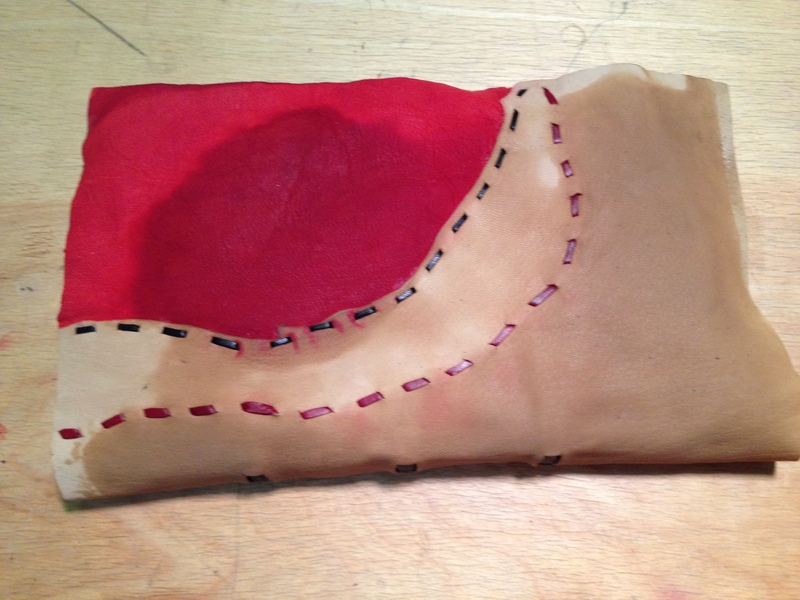 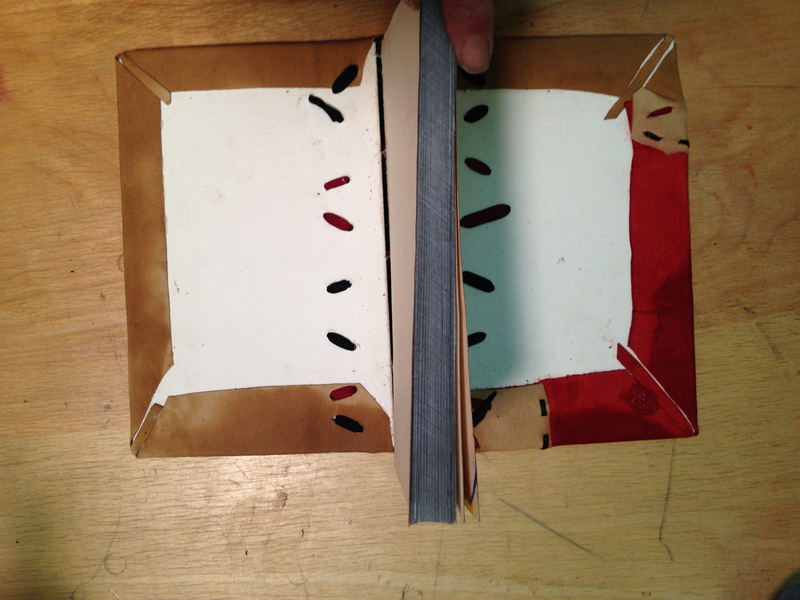 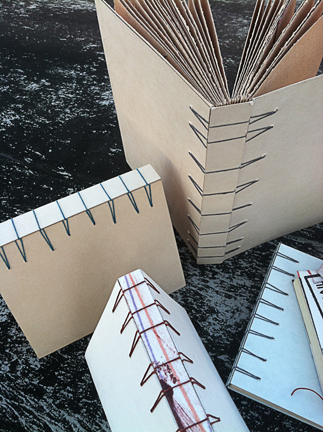 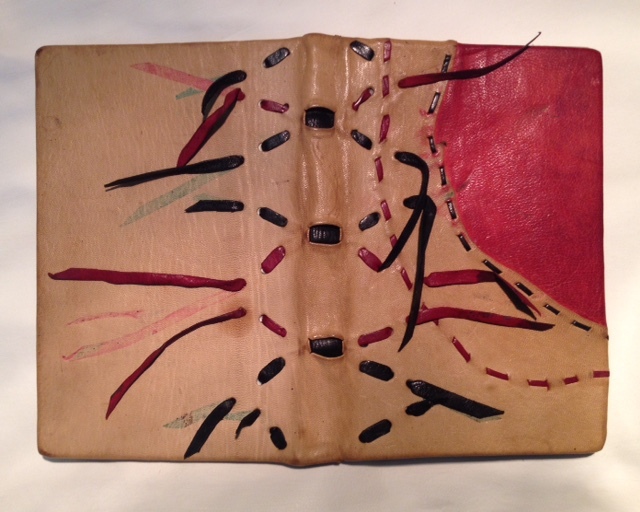 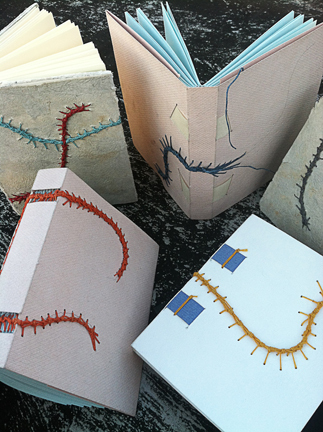 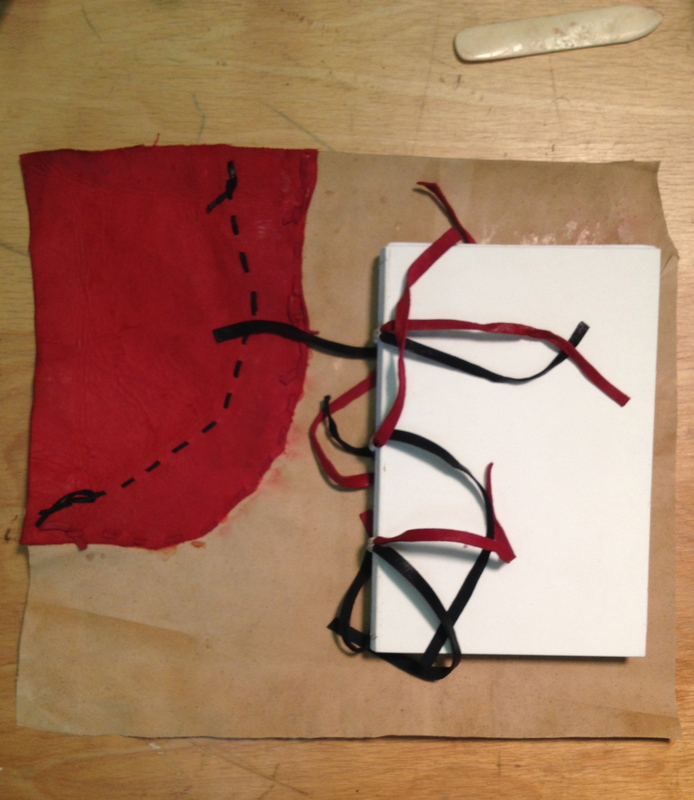 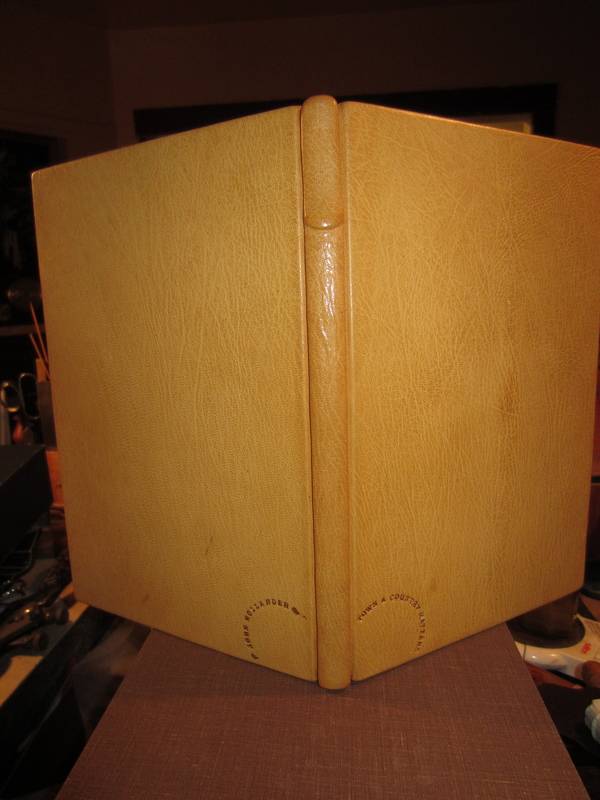 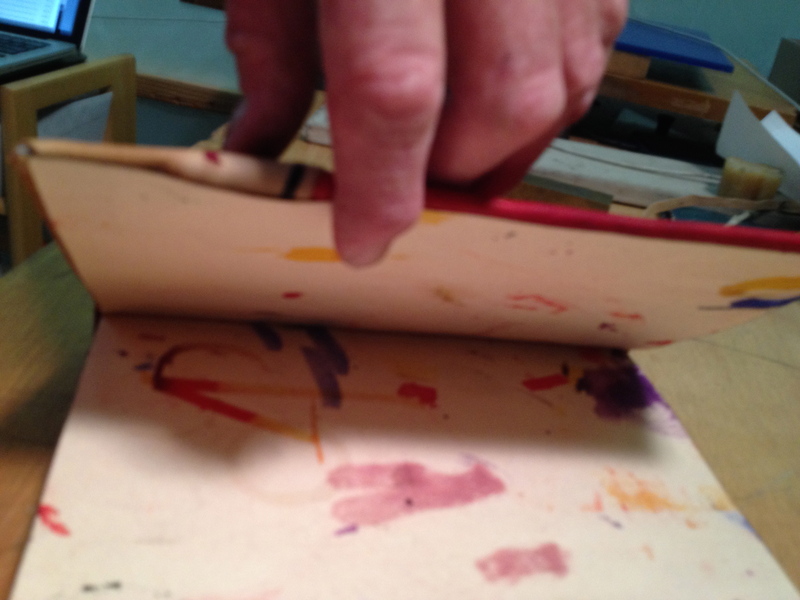 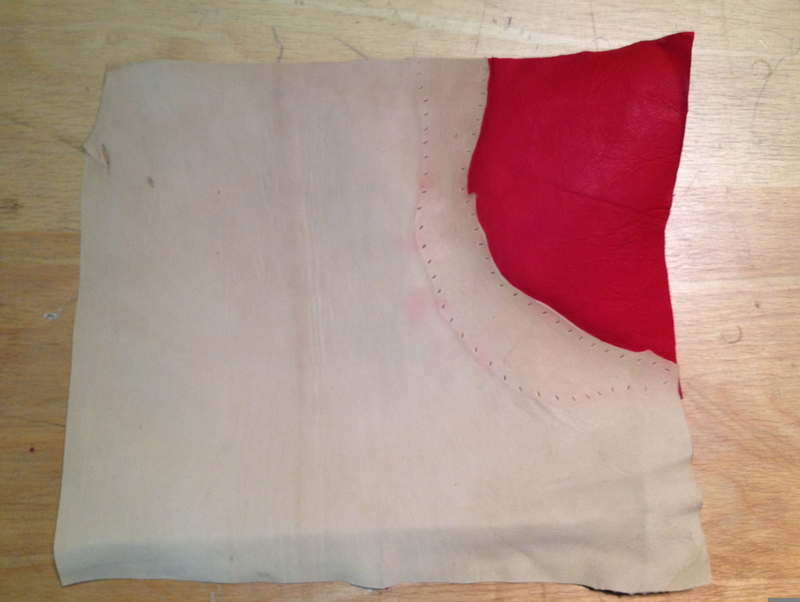 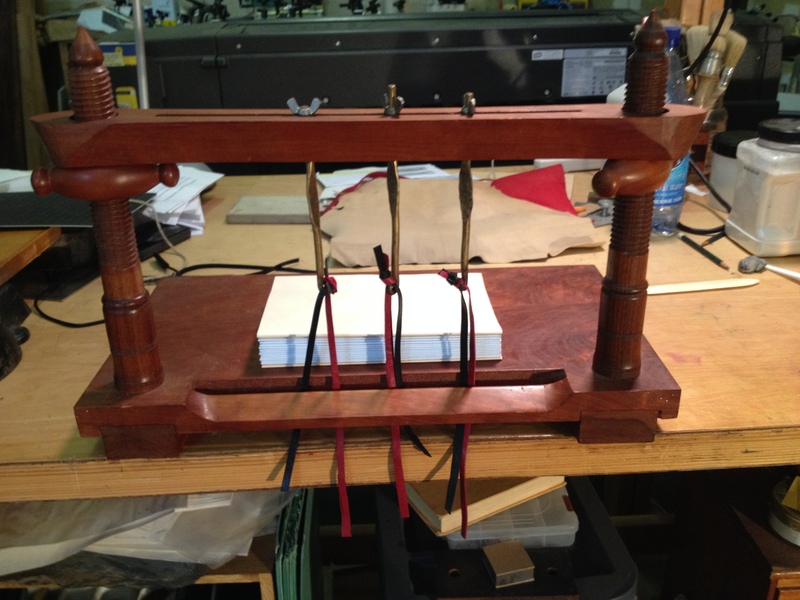 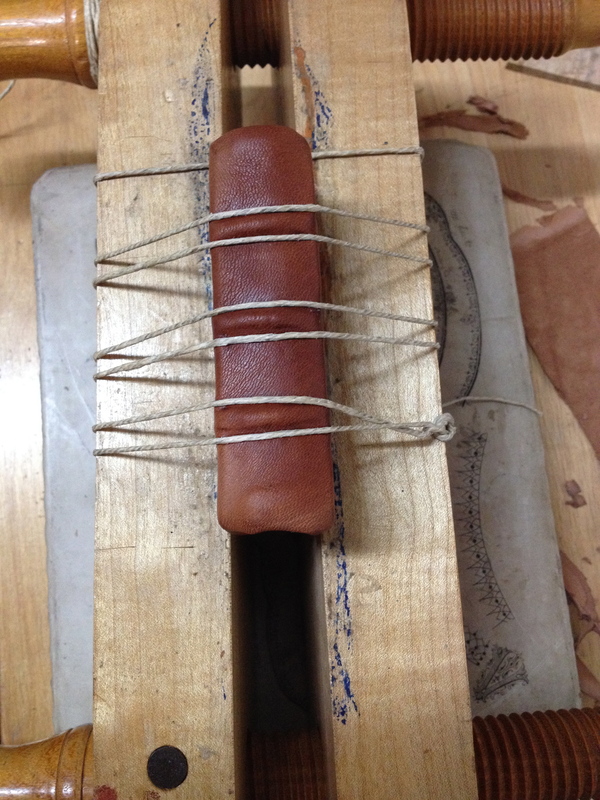 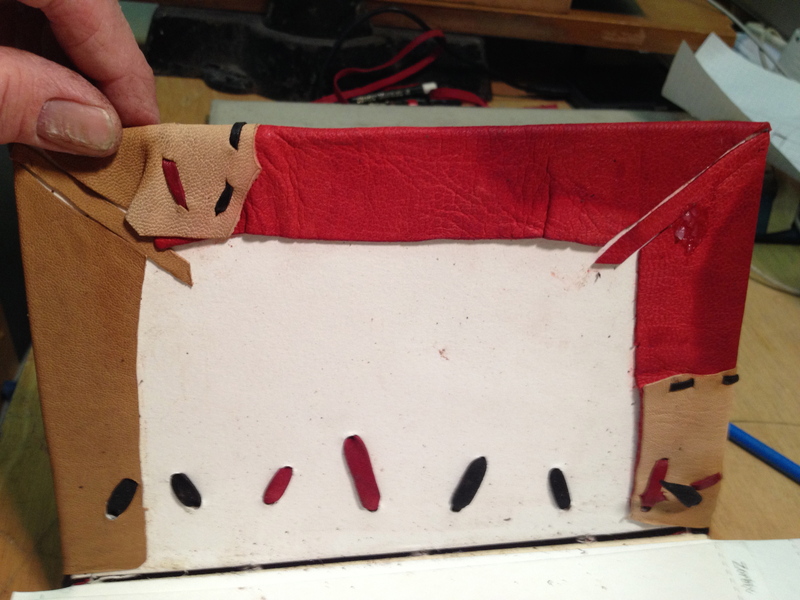 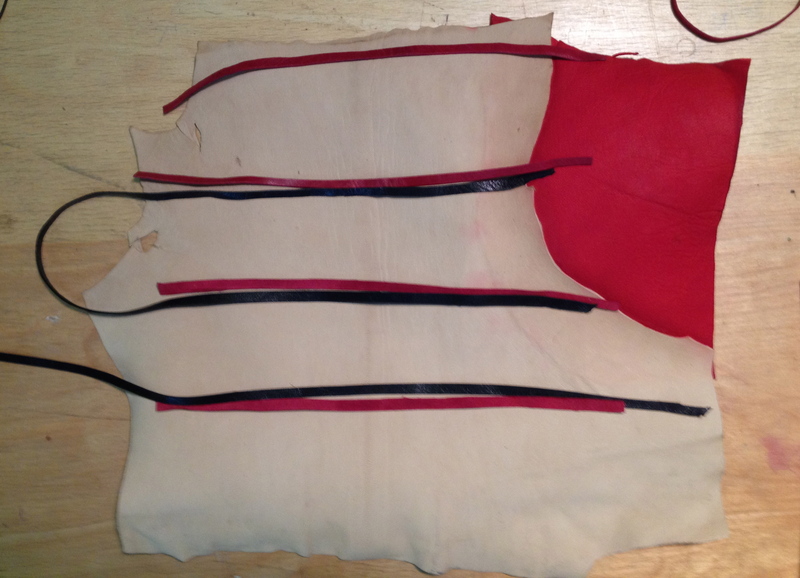 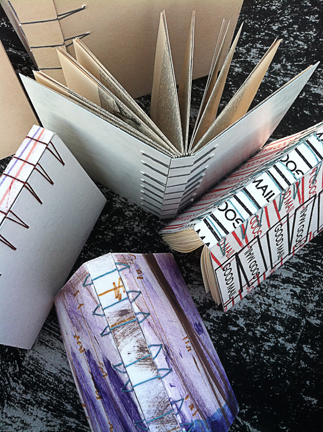 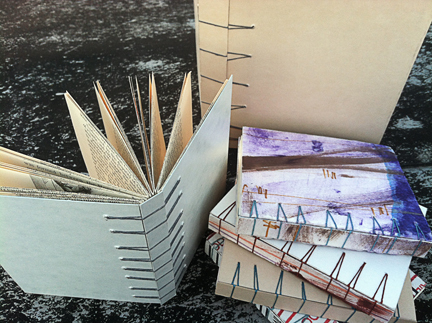 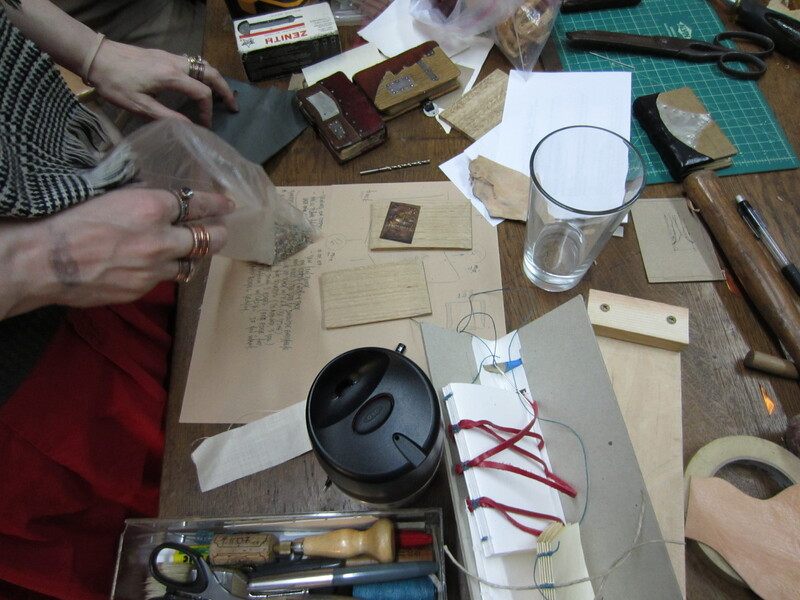 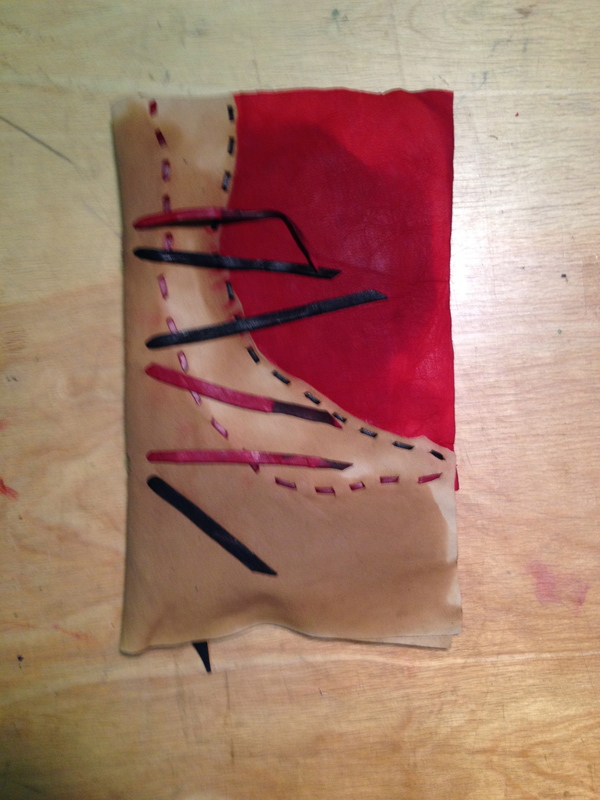 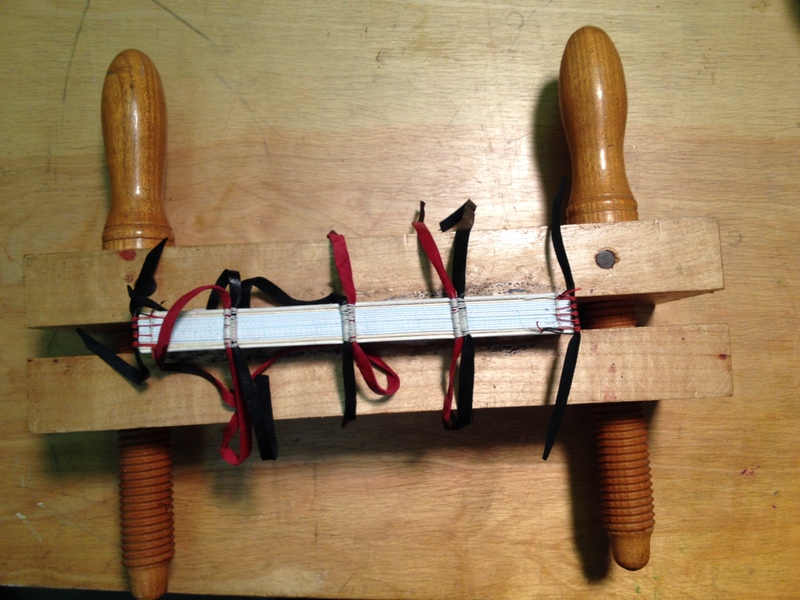 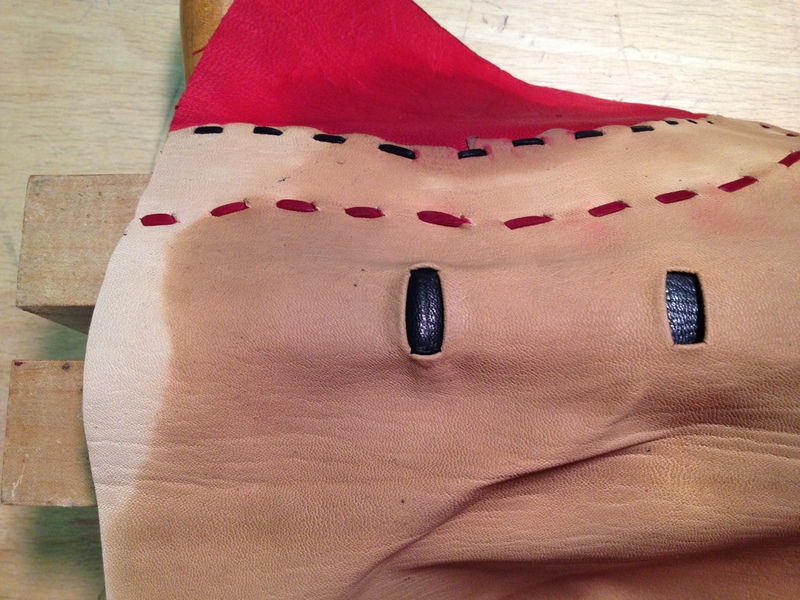 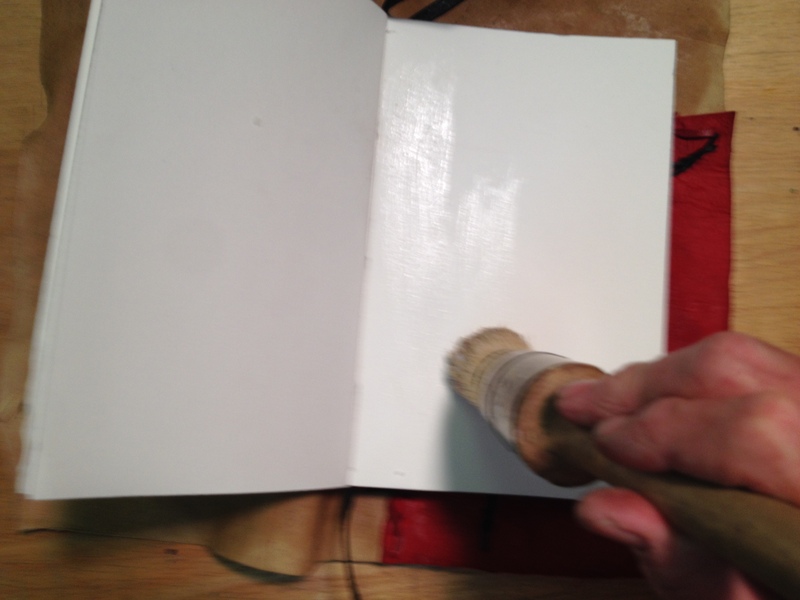 Bookbinding often means book repair or rebinding, not just new bindings. 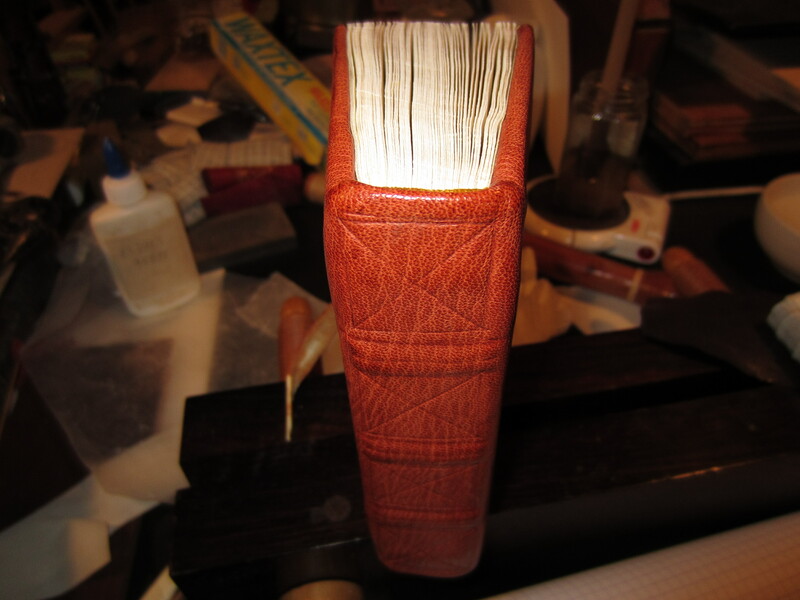 Tom has a select clientele that uses him for this, and one customer had left a miniature bible for Tom to repair and rebind. 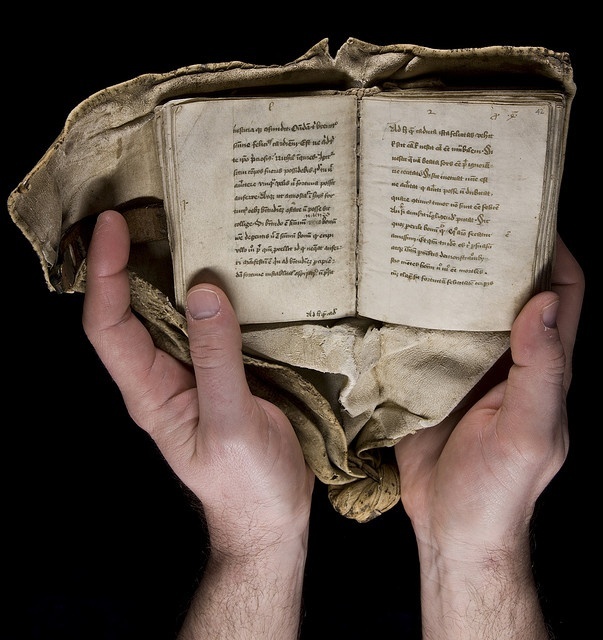 Here you see it in his hands, and below you’ll see it again. 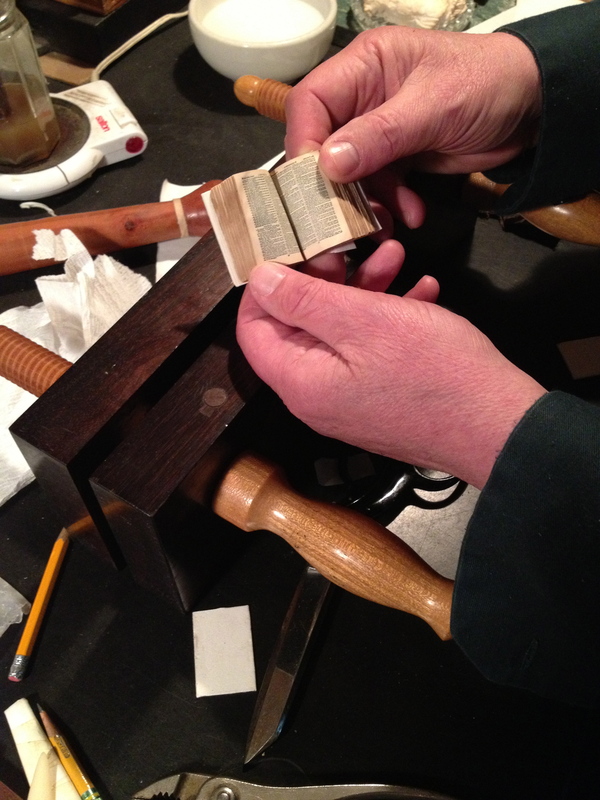 Using a foot-treadle lathe allows Tom to take the time to do woodworking slowly (by our modern electric tool standards). 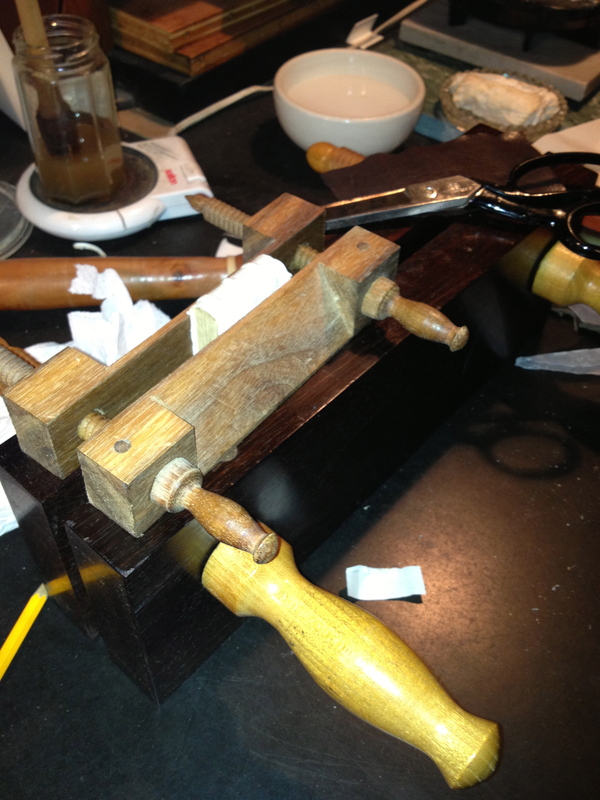 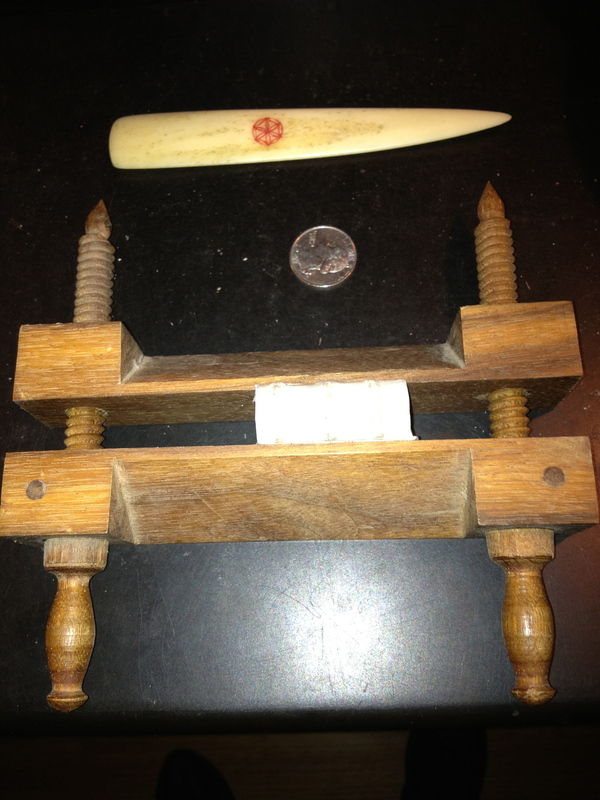 When he was learning how to make finishing presses, he made these small little sample presses. 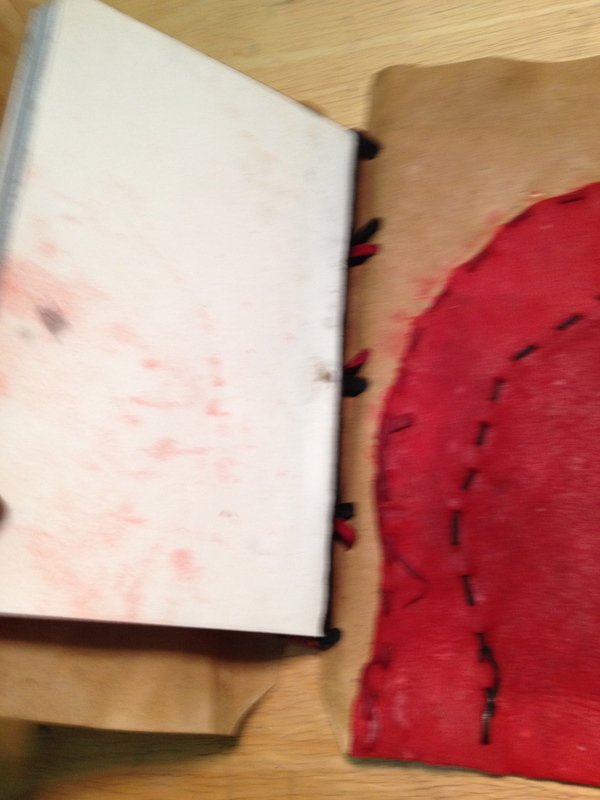 He gave a few away, but kept this one. 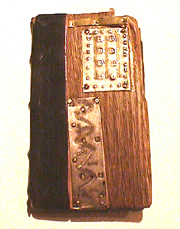 It was hanging out on the mantle, so I grabbed it and put the little bible in it. 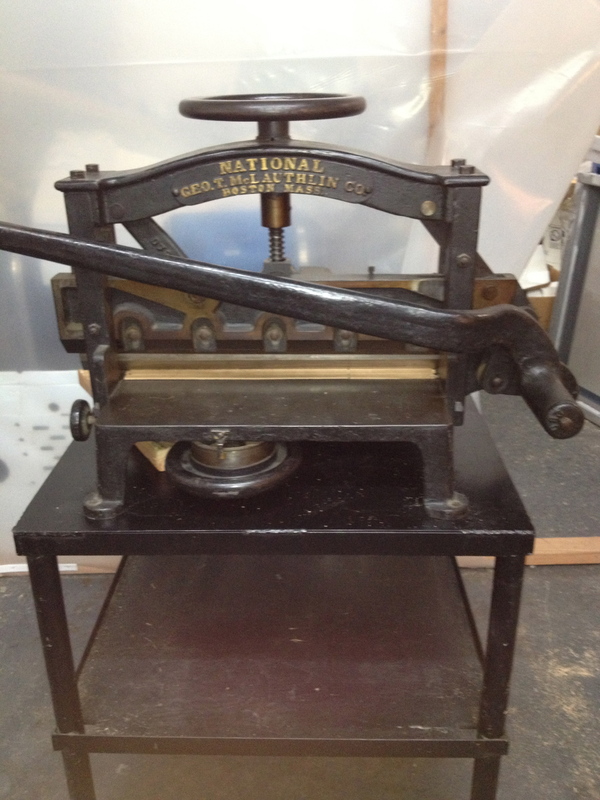 It’s not a very big press. 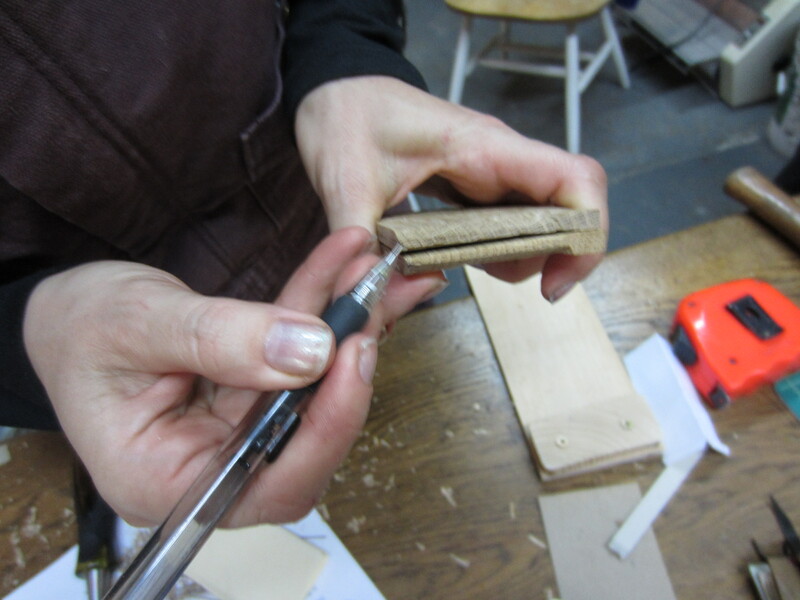 But it wasn’t easier to make – it was harder! 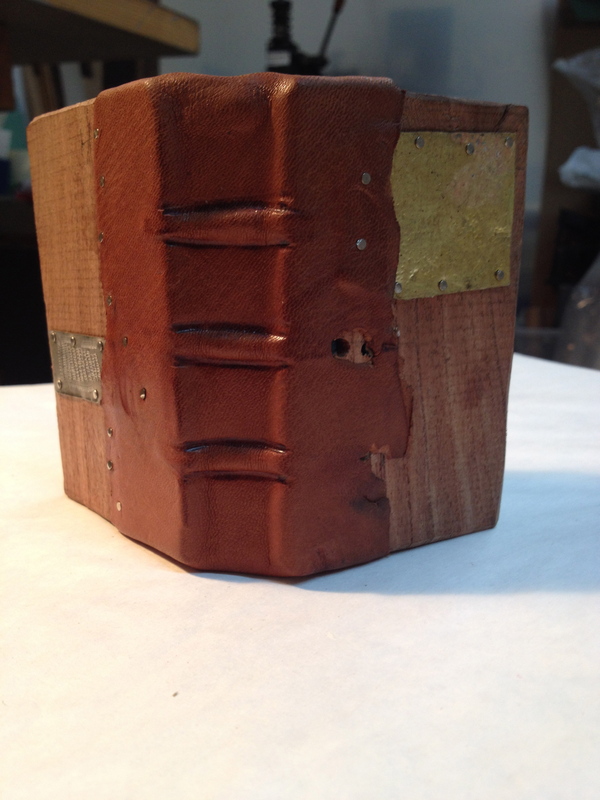 Tom has been at this for a while, yet considers himself a student rather than a master. 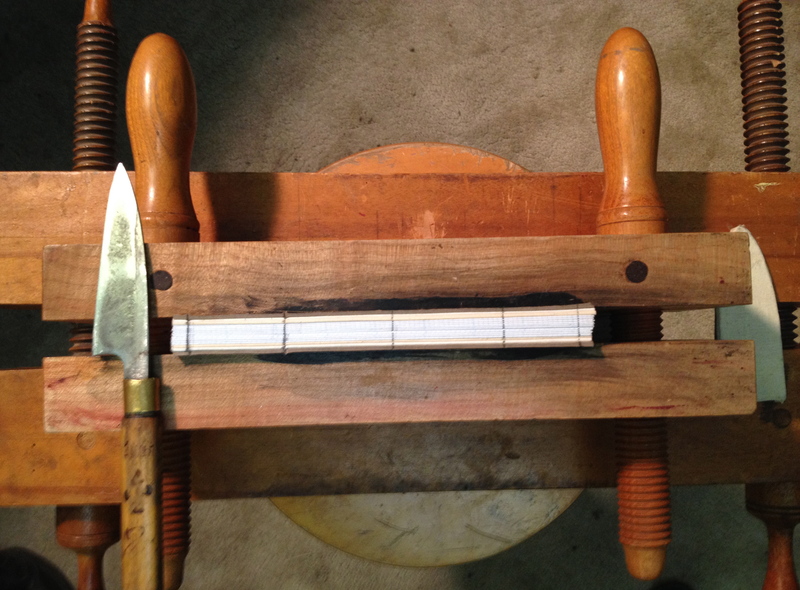 He’s still perfecting binding craft – both forwarding and finishing as well as becoming a better woodworker. 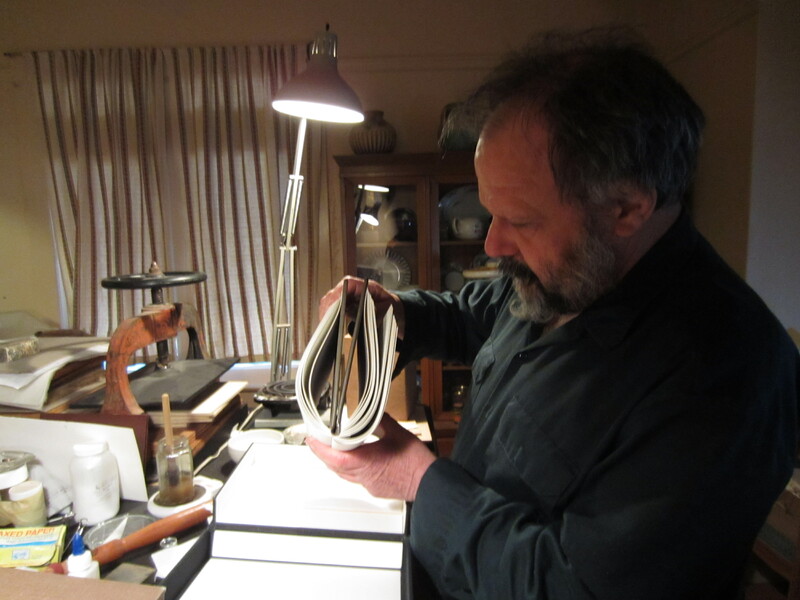 His interest in tools has resulted in the publication of a 20+ year research project about binding tools: Bookbinder’s Finishing Tool Makers 1780-1965. 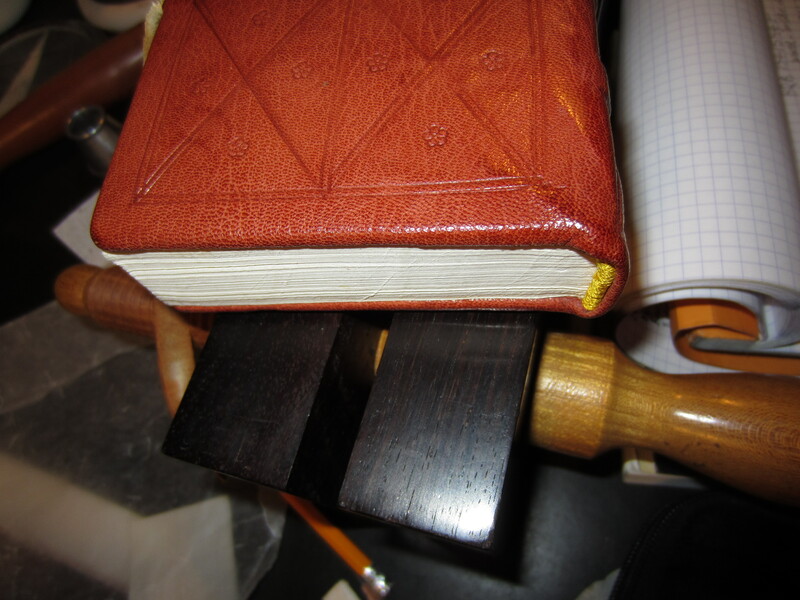 Knowledge of the literature is one thing: Tom knows the tools because he has found them in piles of greasy rags, under workbenches, in old wooden boxes, etc. 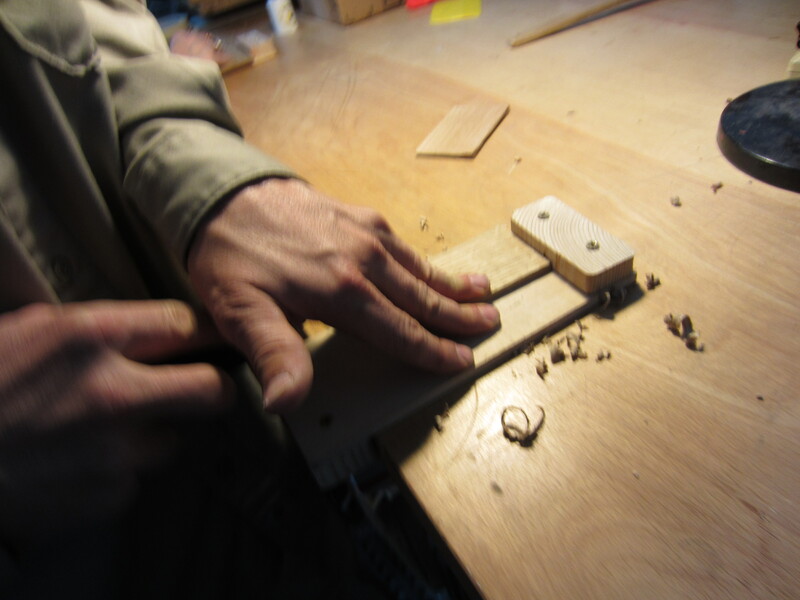 And he has made his own brass tools, knives, saws, awls, fids, etc., and teaches how to make them as well. 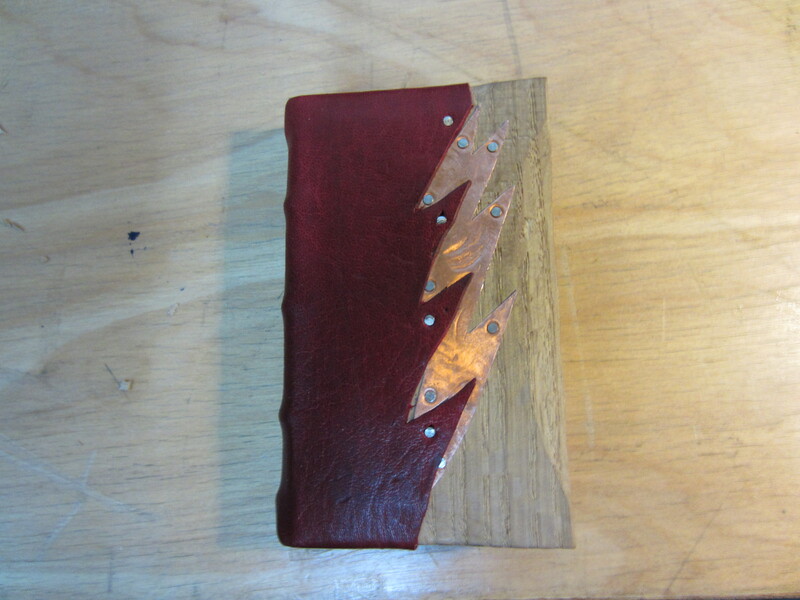 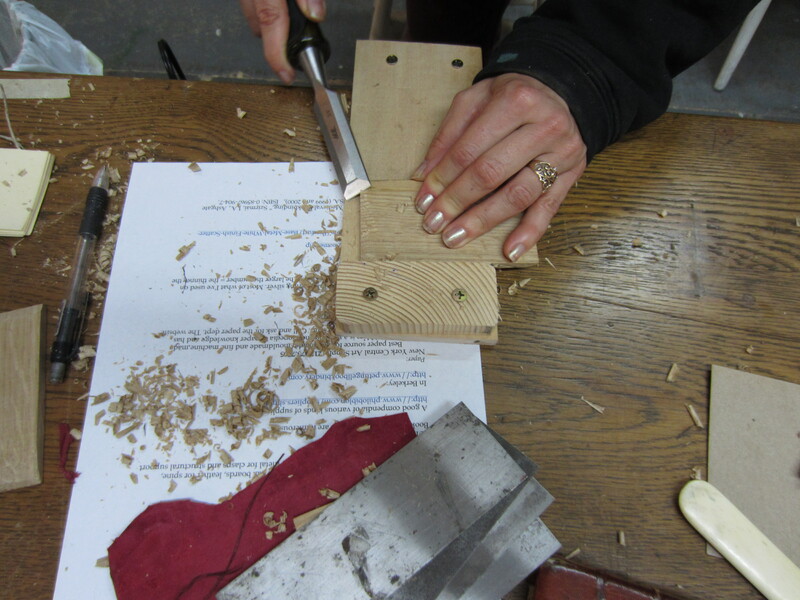 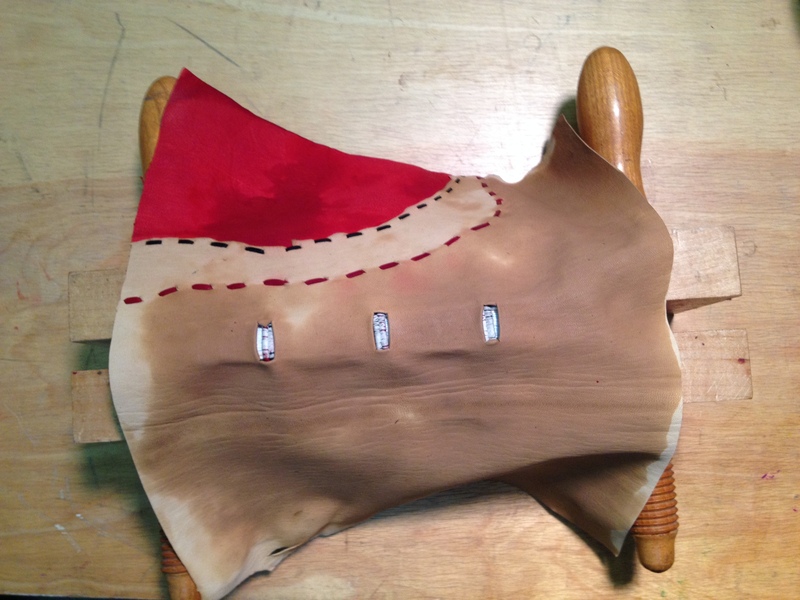 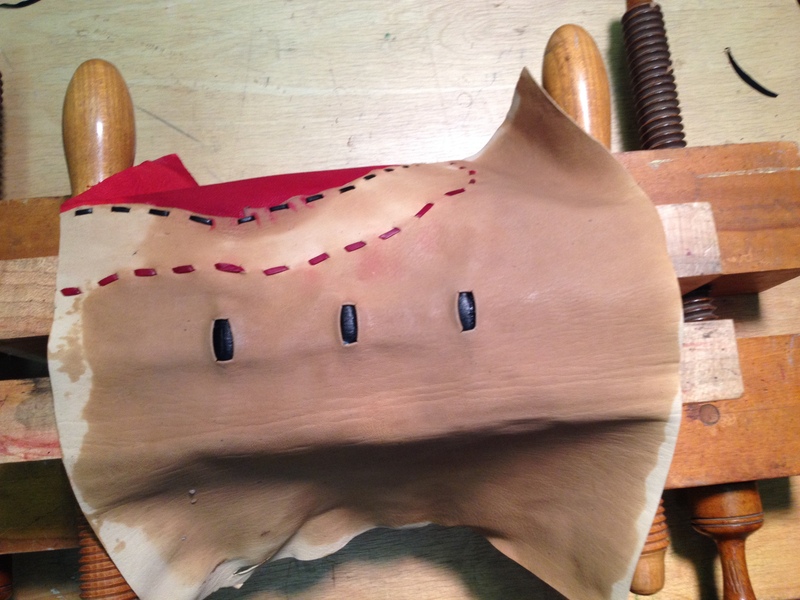 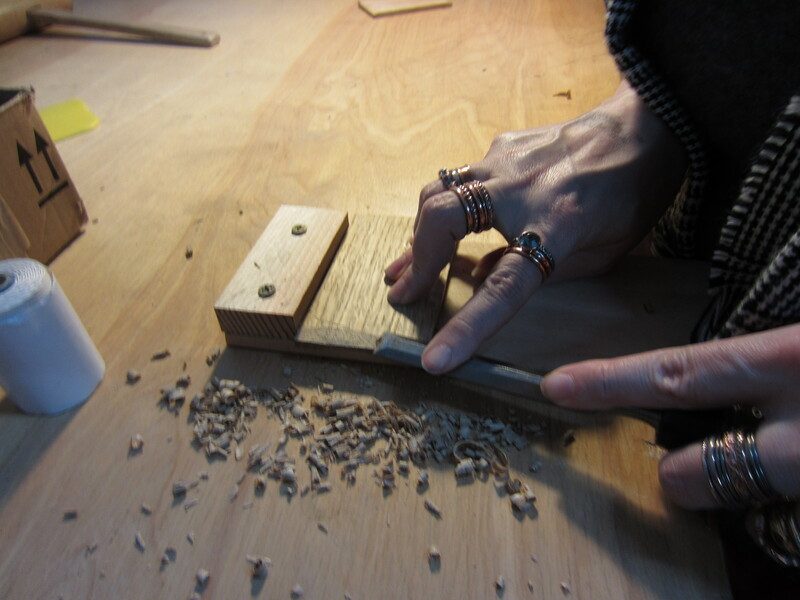 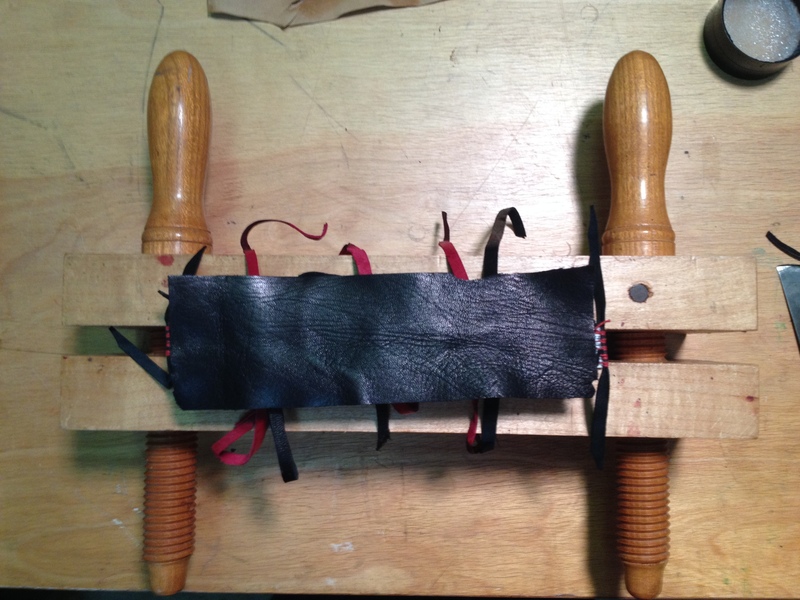 He loves using tools – and he likes traditional bindings – even enough to make his own! 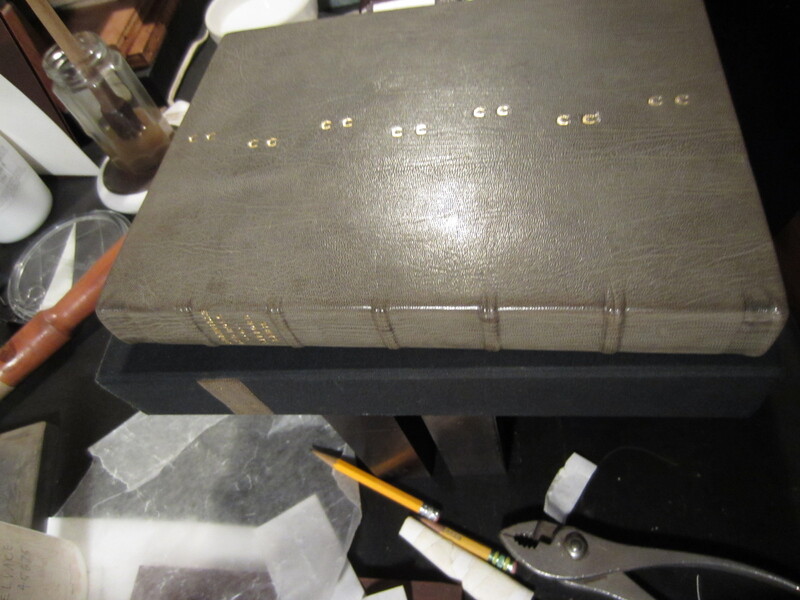 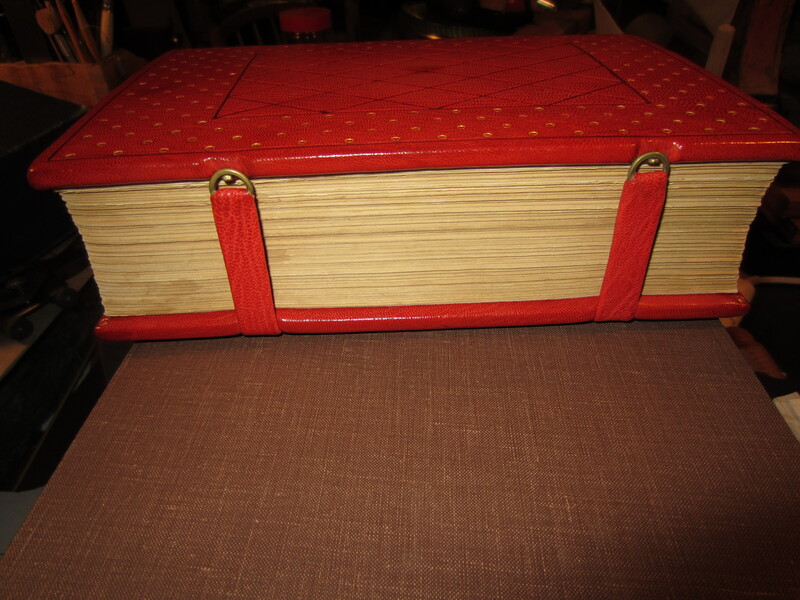 Modern books bound in an historic style – it’s not a common sight. 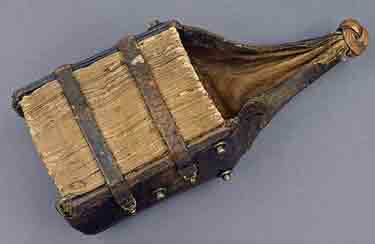 His library shelves are filled with bindings he has done on trade hardbacks that he has purchased, read and bound. 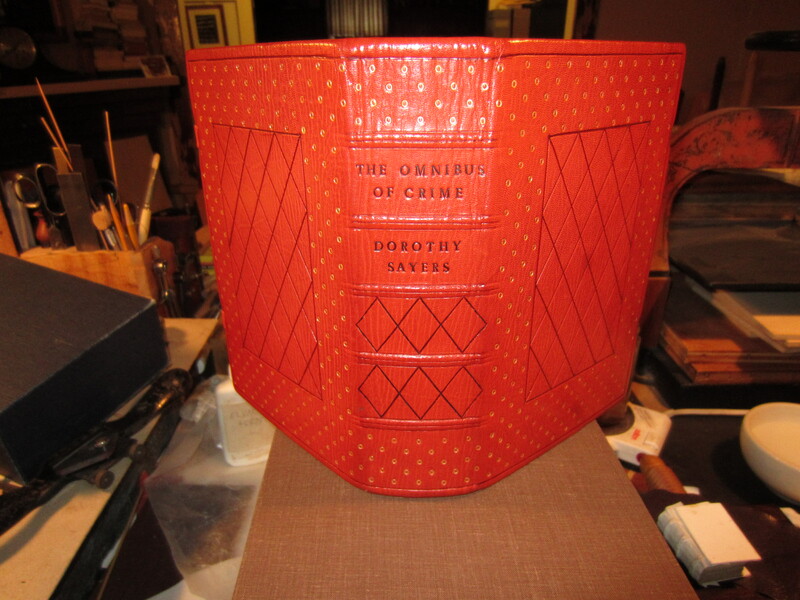 Just so you know that Tom has a sense of humor and a bit of the risque – as every binder should. 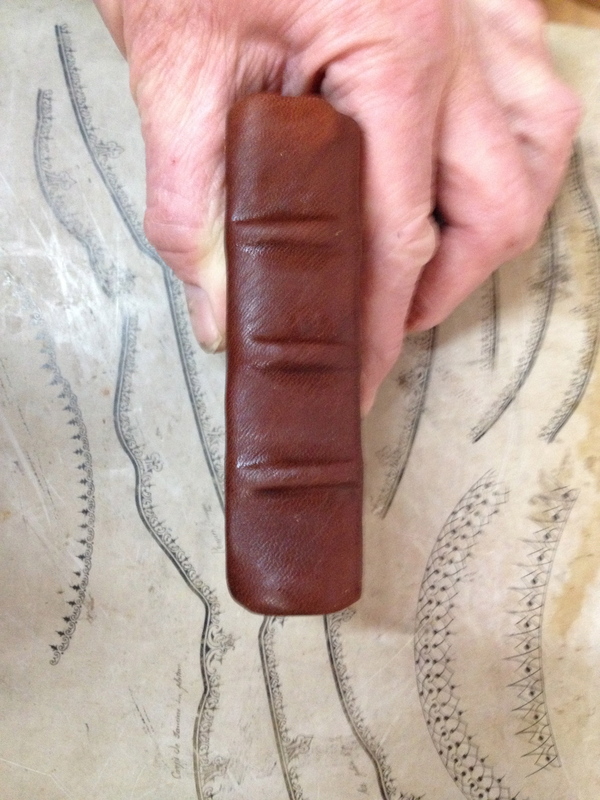 😉 Look at the spine and tooling. 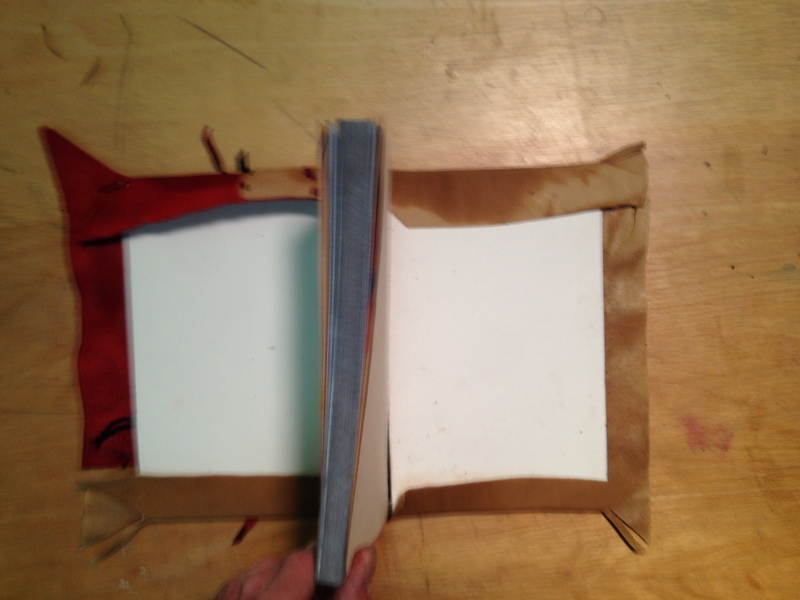 Here you see Tom bending the book inside-out. 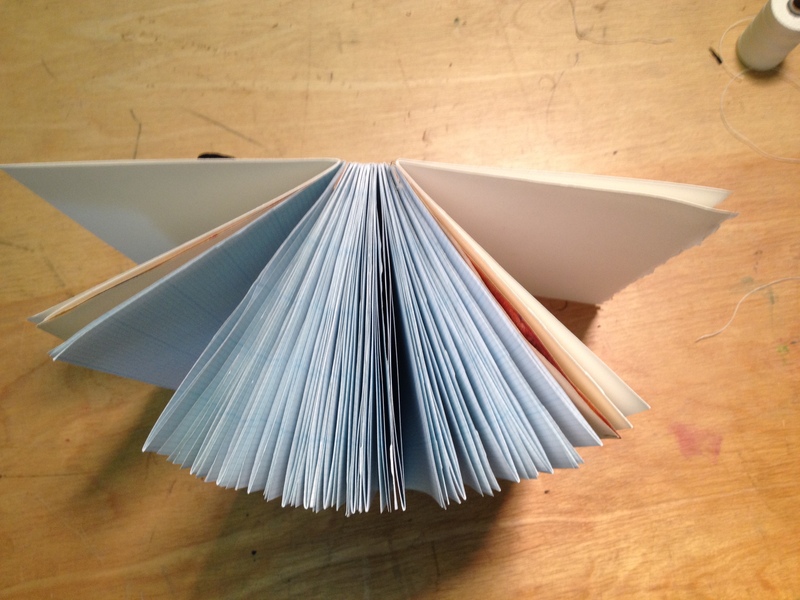 A sure sign of a well made book. 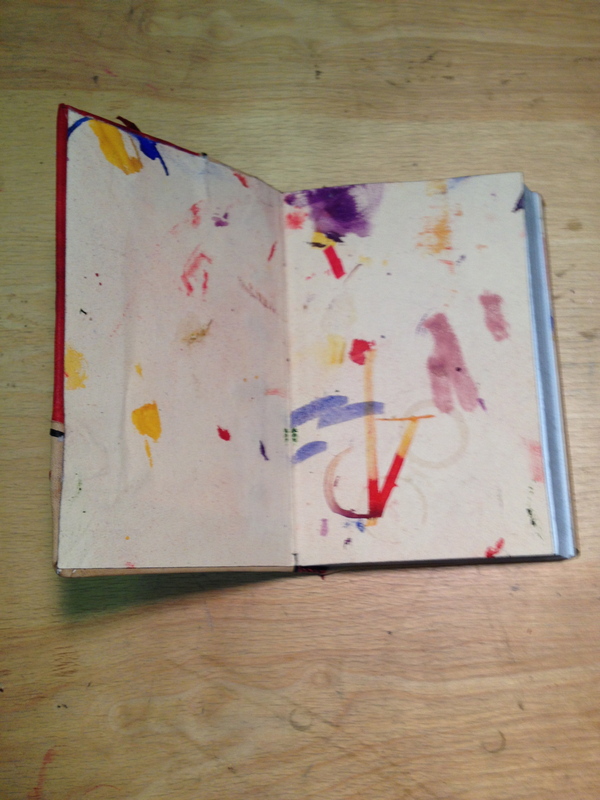 And a clear freak-out for those that haven’t seen this before. 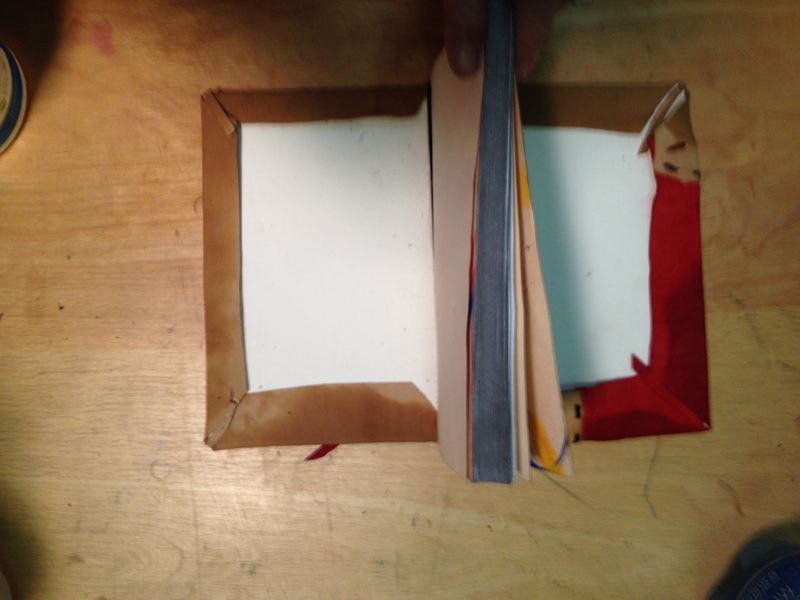 When we teach, we get a little boisterous with our books when showing how sturdy they are. 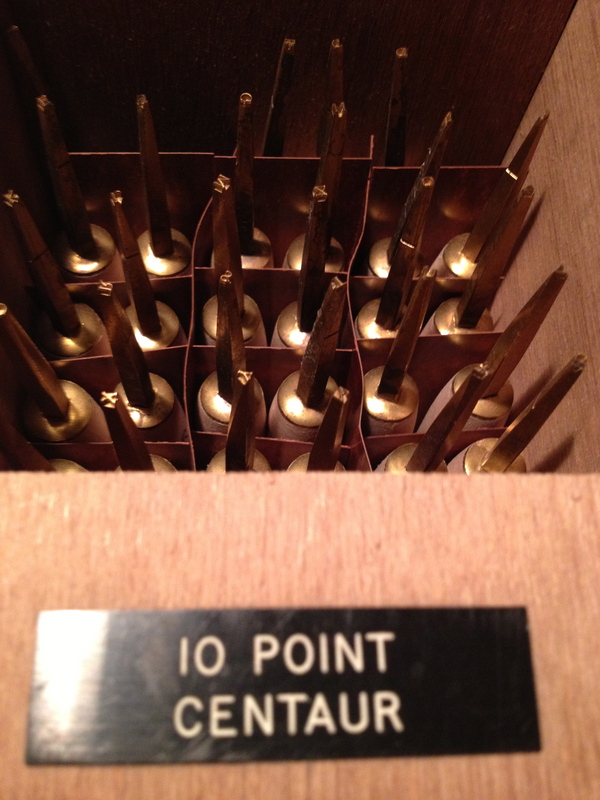 Our lively interchange keeps students alert while keeping us on our toes.